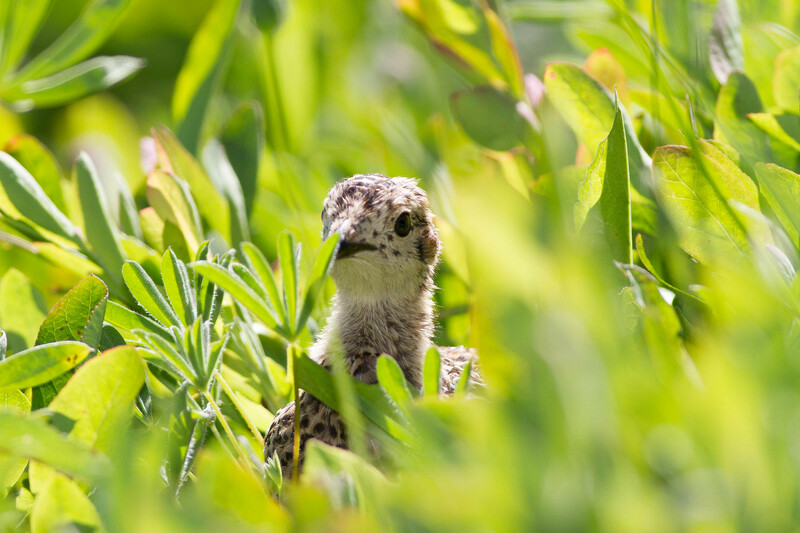 Hope everyone had a great and bird-filled summer! The CYBC certainly did! This summer, four members (including me!) 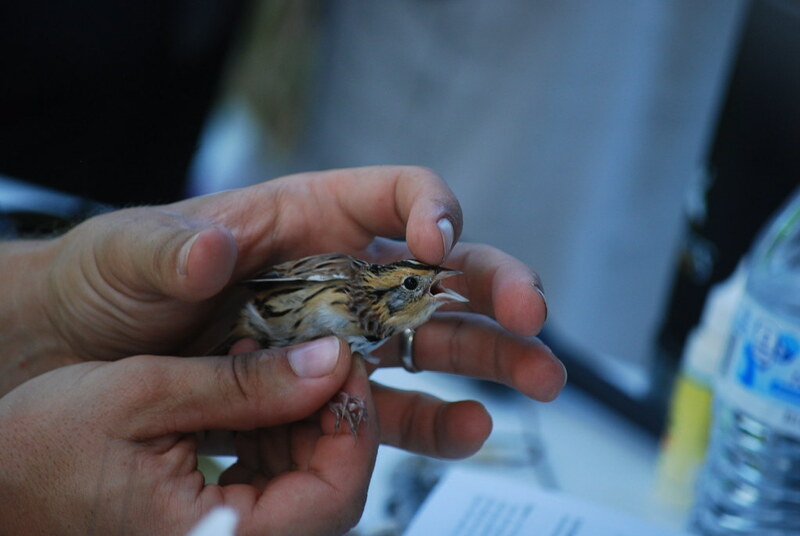 attended Camp Cascades, a young birder's camp. 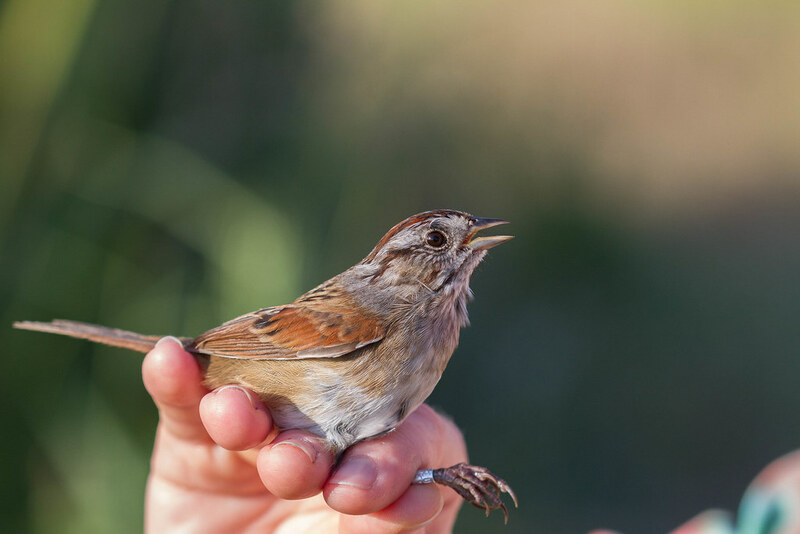 Camp Cascades is one of the many young birder's camps available to young birders between the ages of 15 through 18. This camp is infrequently run by Victor Emanuel Nature Tours, the last one being run in 2012. 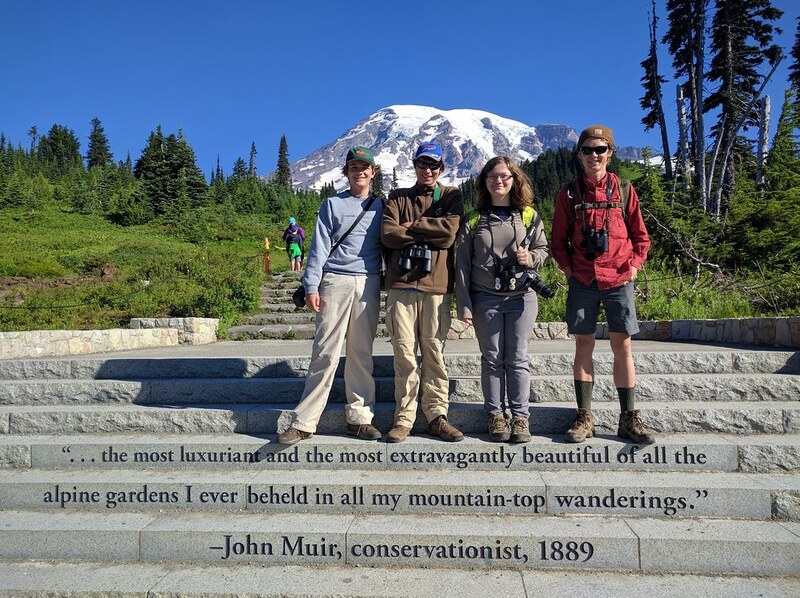 Cascades is held in western Washington state, with a few days on Whidbey Island, and the rest of the camp held in the beautiful Mount Rainier National Park. 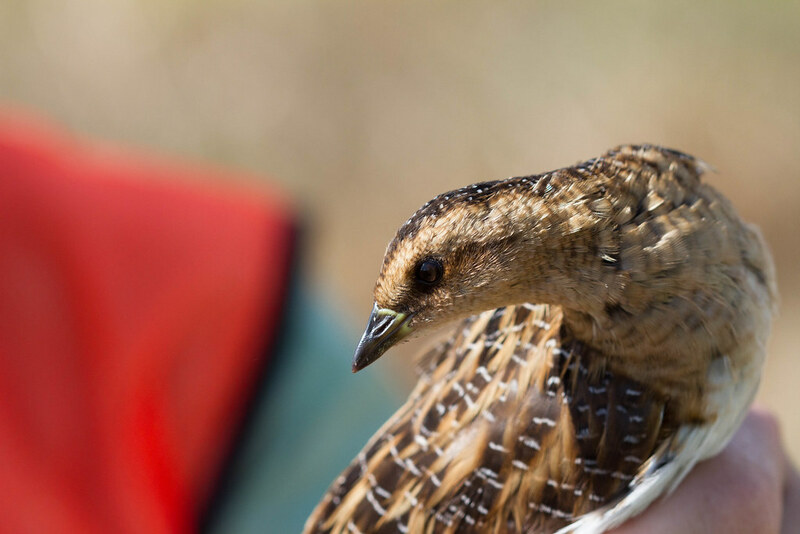 It was an exciting 12 days of birds, friends, and fun! We had four excellent camp leaders- Barry Lyons, Michael O'Brien, Louise Zemaitis, and the founder of VENT himself, Victor Emanuel! 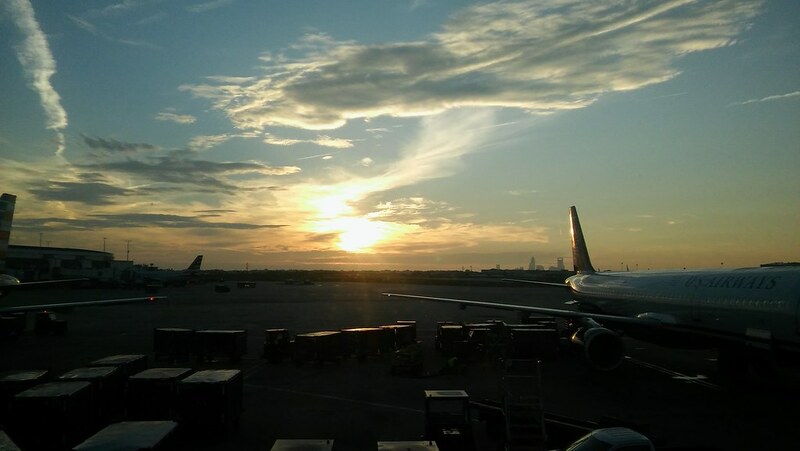 Three of us- Jack, Evan, and I- flew out of Charlotte-Douglas International Airport on July 30th. We actually were all on the same flight, destined to arrive in SeaTac around 10 am local time. As soon as we arrived, we found the chatty group of young birders. The great thing about birders is that we're willing to talk about anything, in a way that makes it seem like you've been friends for years. Most of that morning was spent getting to know each other as we waited for a few stragglers. Once the last people showed up, we loaded up in the vans and we were off to Whidbey! 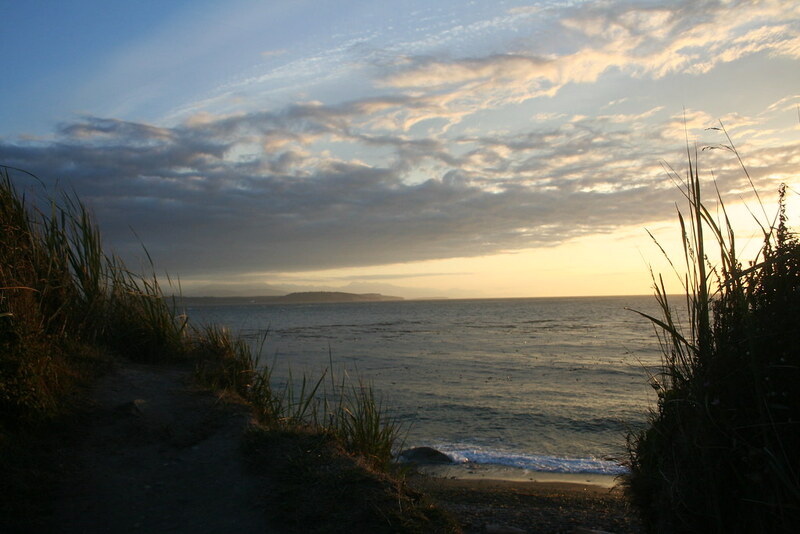 Whidbey has beautiful rocky beaches, with large logs of bleached driftwood littering the shore. 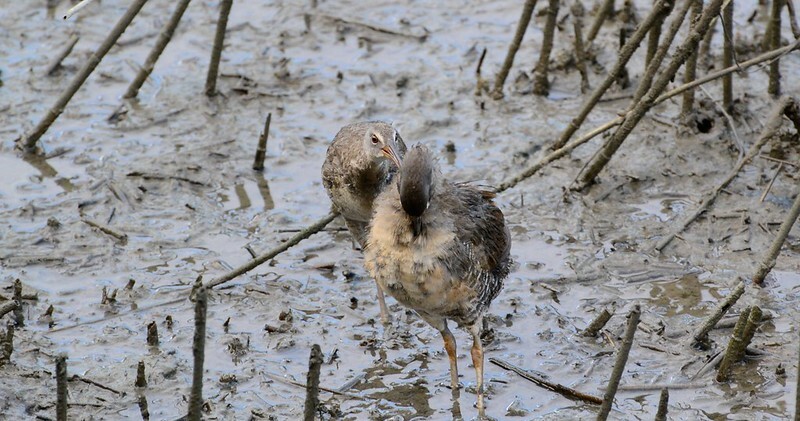 Among the strands of rotting kelp and driftwood, we found a few dead Rhinoceros Auklets. 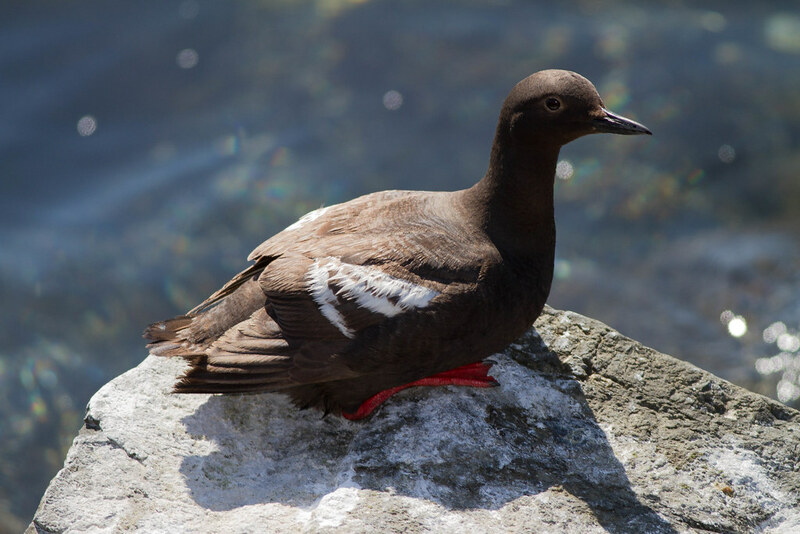 In recent months, there have been die-offs of these handsome birds and their close relatives, the Cassin's Auklet. While it was a bit sad, it also provided a great opportunity to see up close the "horn" of the rhino! There were also some great cliffs, where Pigeon Guillemots made their nests. Off the bat, people started getting lifers. 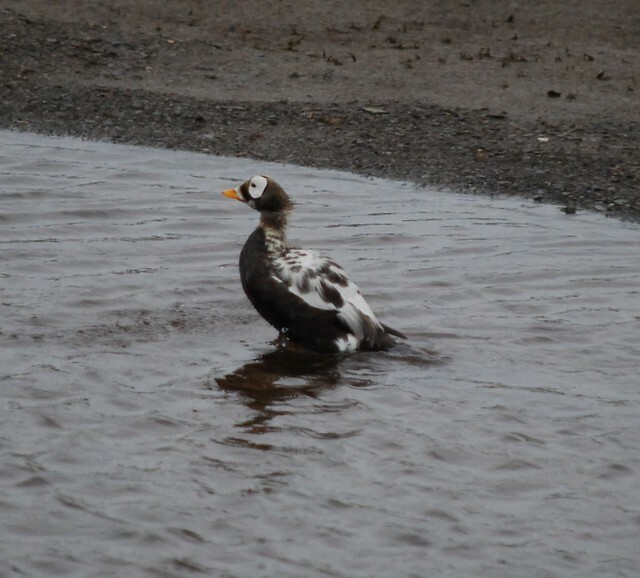 Heermann's Gull, Pelagic Cormorant, Harlequin Duck, and other Pacific seabirds were seen. 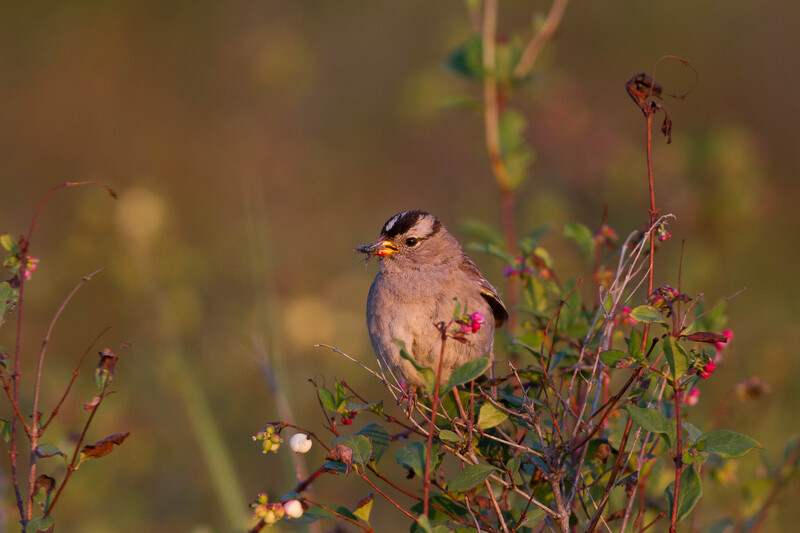 In the coastal scrub, White-crowned Sparrows of the subspecies pugetensis chipped insistently. 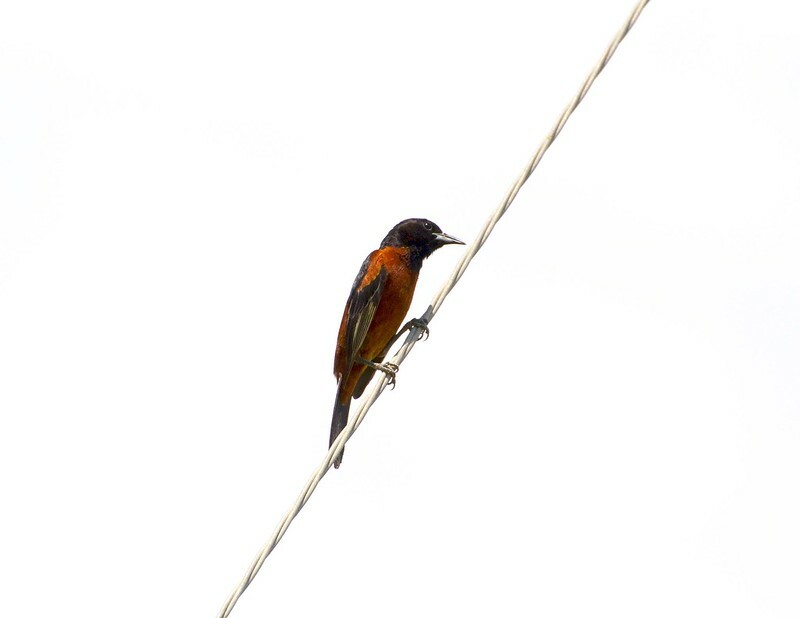 One thing you'll notice about the Pacific Northwest- lots of unique subspecies. 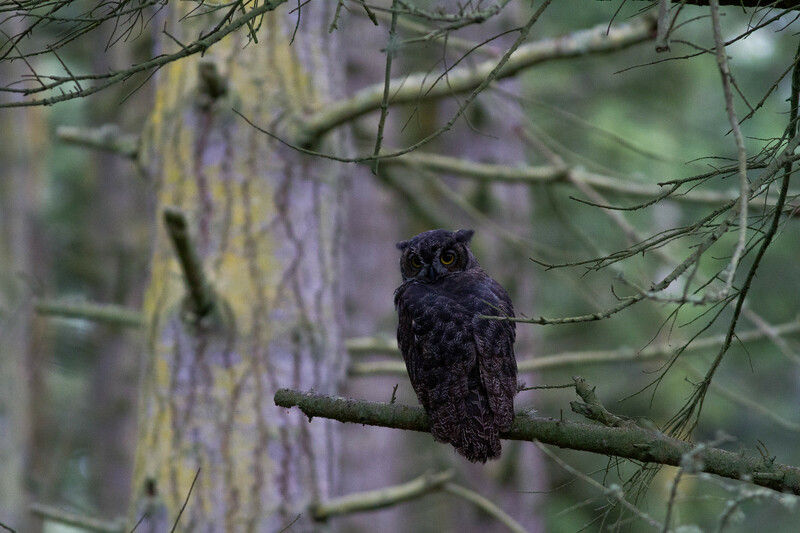 The dark, lush coniferous forest has created many darker forms of familiar birds, including Song Sparrow, Downy Woodpecker, and, my favorite example, Great Horned Owl. We observed a young Great Horned very well, and the blend of sooty grays and blacks made it stand out from the normally warm tawny owls we see here in the Carolinas. 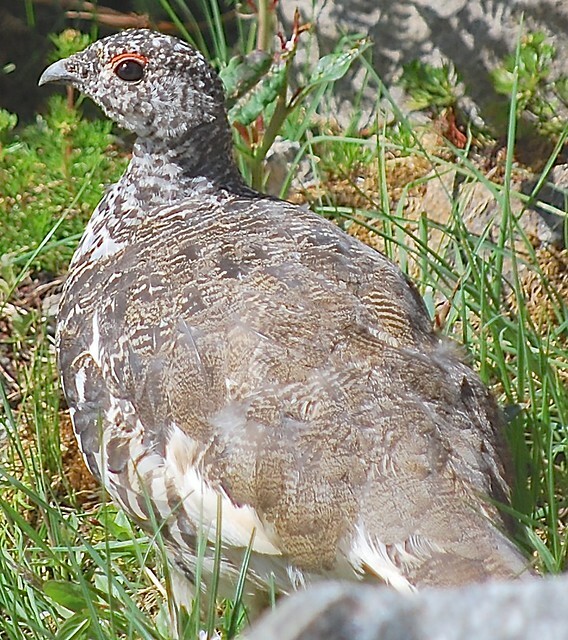 This young one was a stunner, and we had crushing views of it. 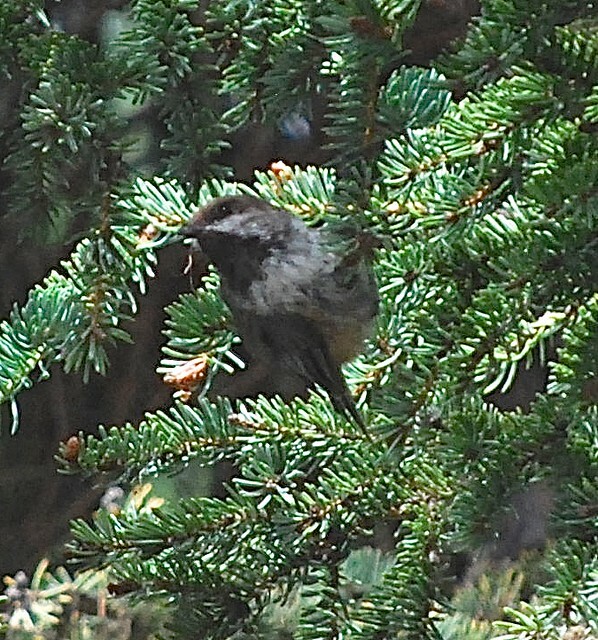 We also explored some of the forests on Whidbey, locating some great forest birds, such as Olive-sided Flycatcher, Red Crossbills (mostly type 3, Douglas Fir), Chestnut-backed Chickadees, and the ever-present Brown Creepers. 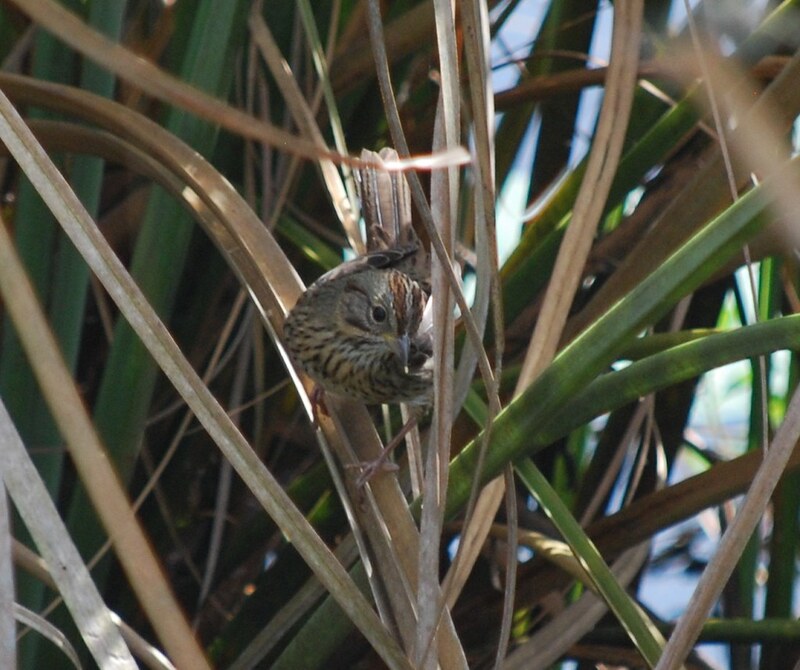 Bushtits, Bewick's Wrens, and Pacific Wrens were around as well, skulking in the dense foliage. 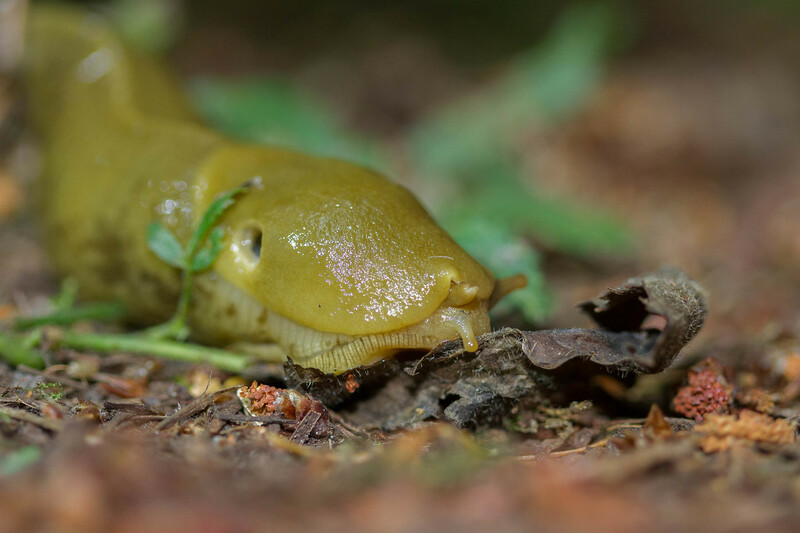 Banana Slugs were a delight to find! 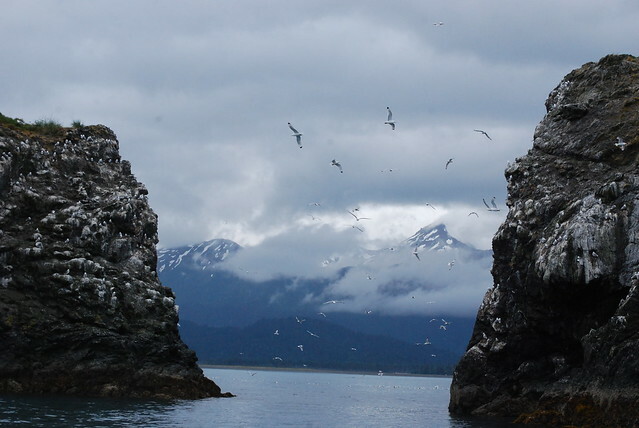 One of the highlights of the trip was a boat trip to Protection Island, a crucial nesting site for thousands of auklets, guillemots, murres, and other seabirds. We took a ferry to Port Townsend, officially on the Olympic Peninsula. 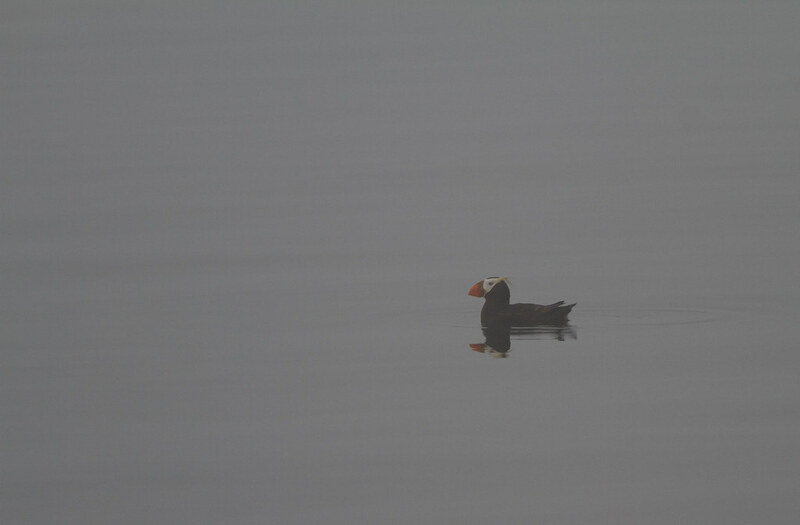 Conditions were foggy, but we still saw some birds flying in and out of the mist. 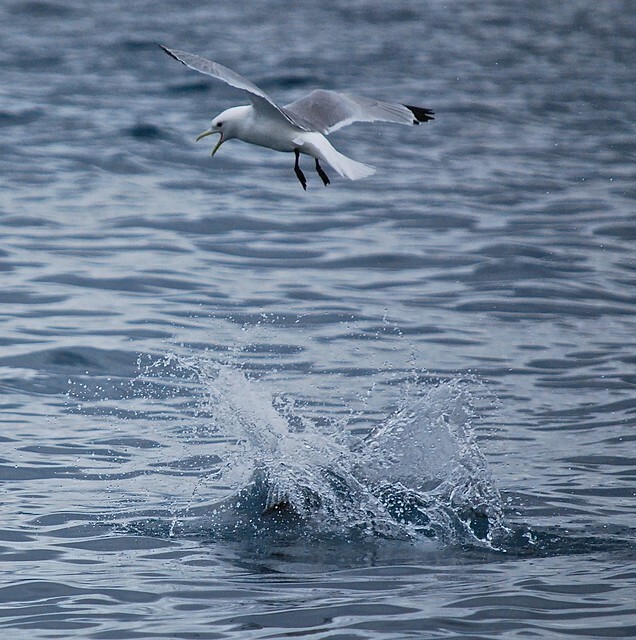 Many alcids were around, especially Pigeon Guillemots and Rhinoceros Auklets. 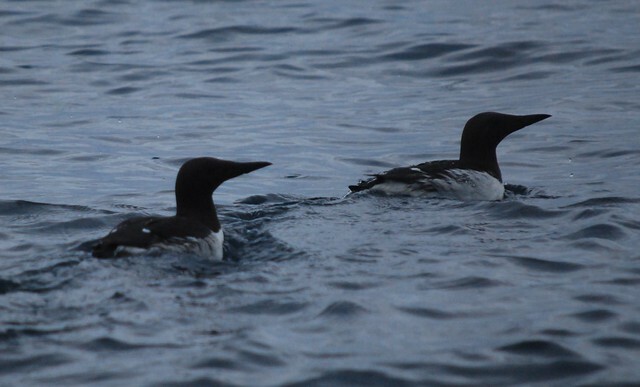 Common Murres were less common, but their bulky size made them easy to identify in the mist. Marbled Murrelets were seen as well (but, of course, I managed to miss every single one! 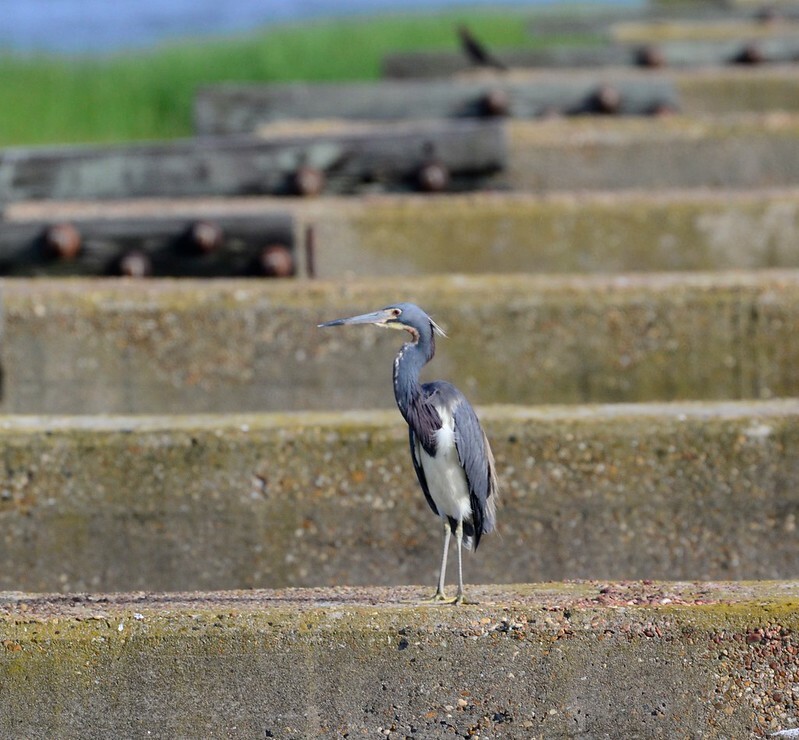 ), but none of these birds were the reason for our trip. 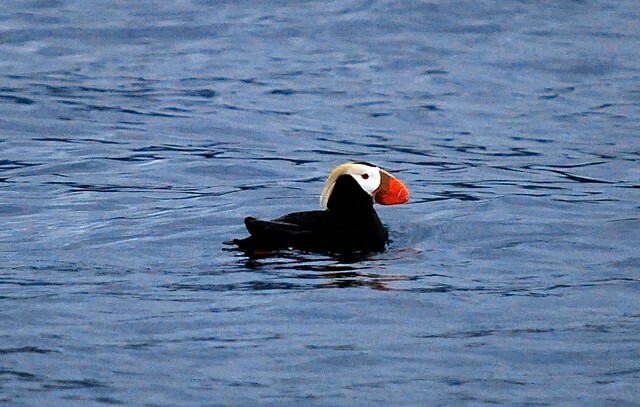 Protection Island is also home to a few pairs of Tufted Puffins, a regal member of the alcids. We were rewarded with a stunning adult that stayed with us for a good 20 minutes! After that boat trip, we explored some local areas, including a kelp-filled beach. The air was filled with the stench of rotting kelp, but we stuck it out to watch a fresh juvenile Western Sandpiper feeding on the insects attracted to the kelp. 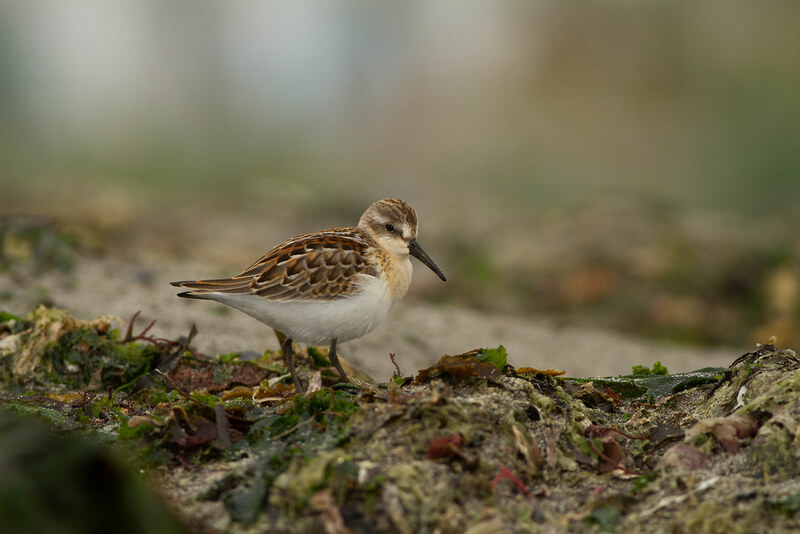 Definitely one of the prettier shorebirds! 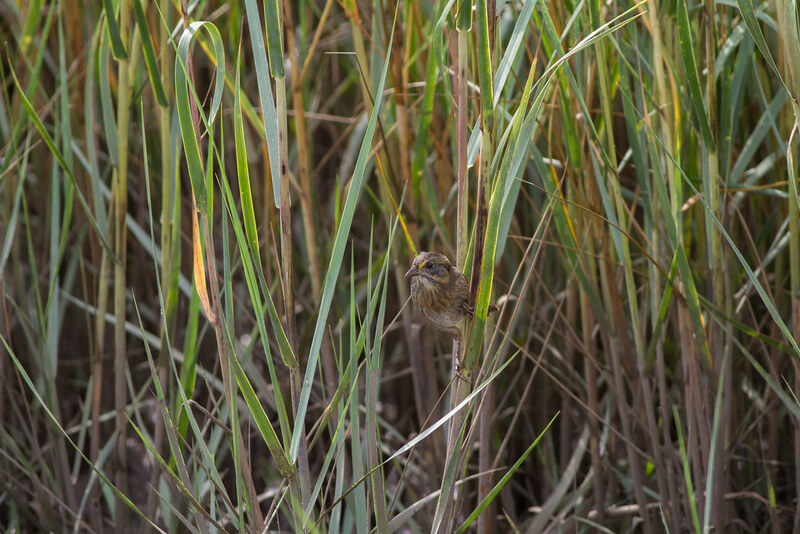 Whidbey was a whirl of birds, and we saw many more than I wrote about, but to keep this post a bit shorter (if that's possible, haha! ), I'll have to fast forward to Mt. Rainier. At 14,410 feet, this is the tallest peak in Washington, and second tallest peak in the Lower 48. The cool mountain air was a welcome relief from the heat of the Carolinas, and we reveled in it. During a few nights, the temperature dropped into the 30s! 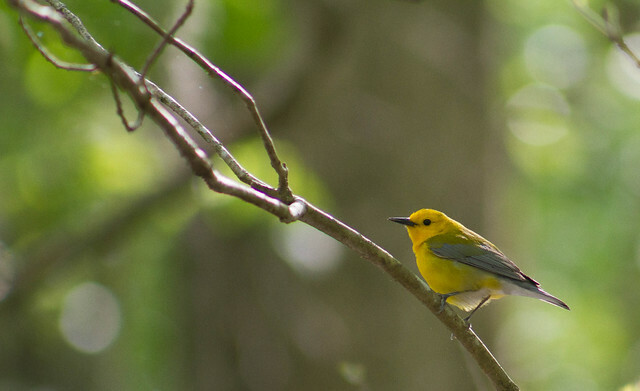 Rainier is filled with huge old-growth forests, and with these forests we found new birds. 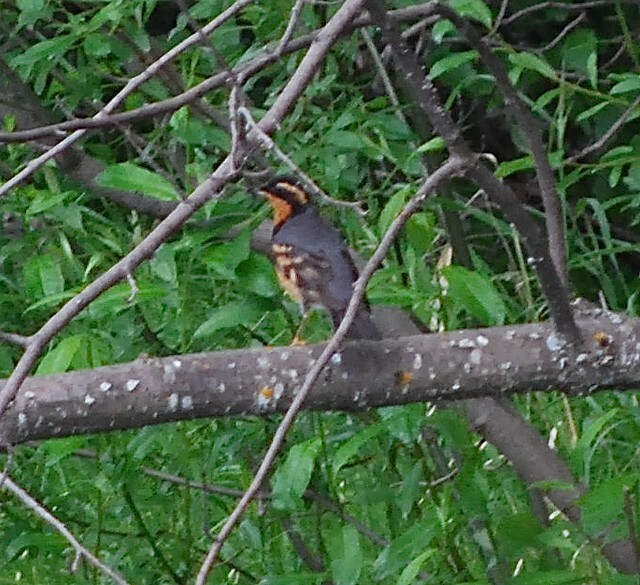 We found Varied Thrushes, American Dippers, Hammond's Flycatchers, and a lot more! However, the highlight of our stay on Rainier was, by far, the Skyline Trail. 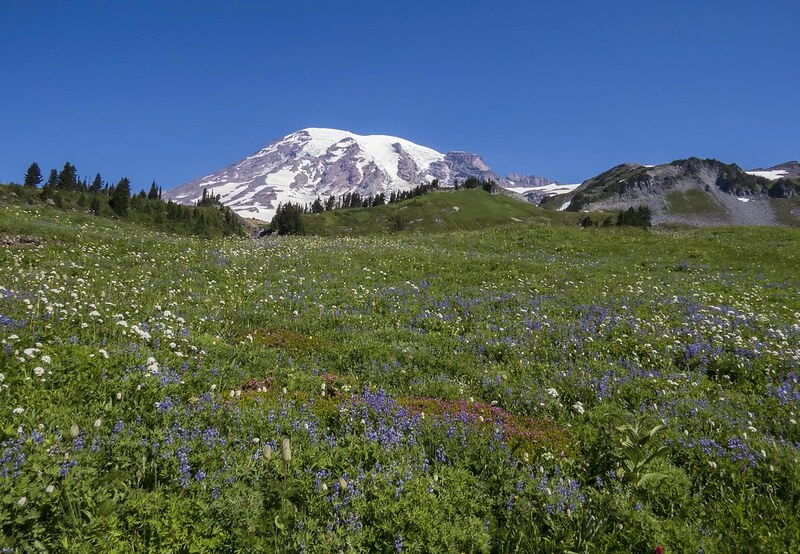 This trail winds through the spectacular subalpine and alpine meadows, in full bloom in August. 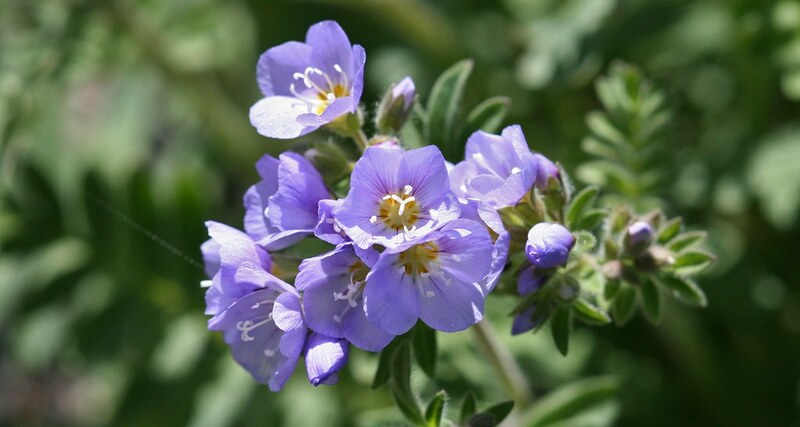 I, being a wildflower nerd, was in love with the huge masses of blooms that surrounded us. The area was also full of other unique creatures, ranging from mammals to butterflies. 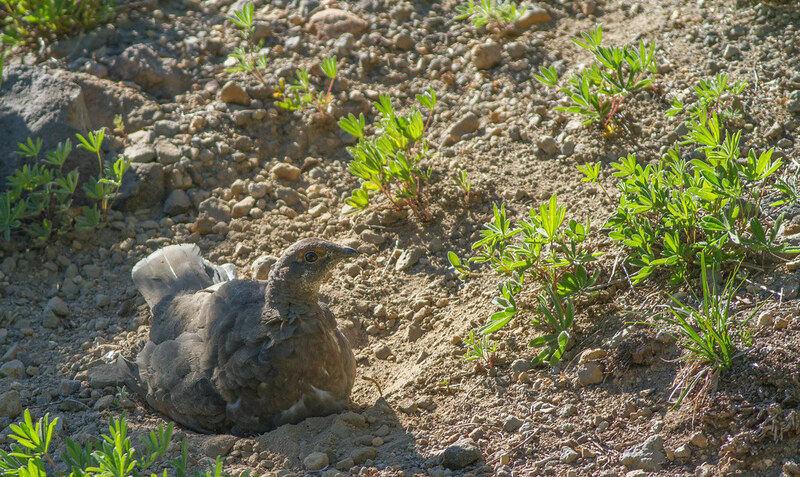 While we lacked constant action, the birds we encountered were definitely quality birds- Prairie Falcon, Mountain Bluebird, Cassin's Finch, and Calliope Hummingbird. 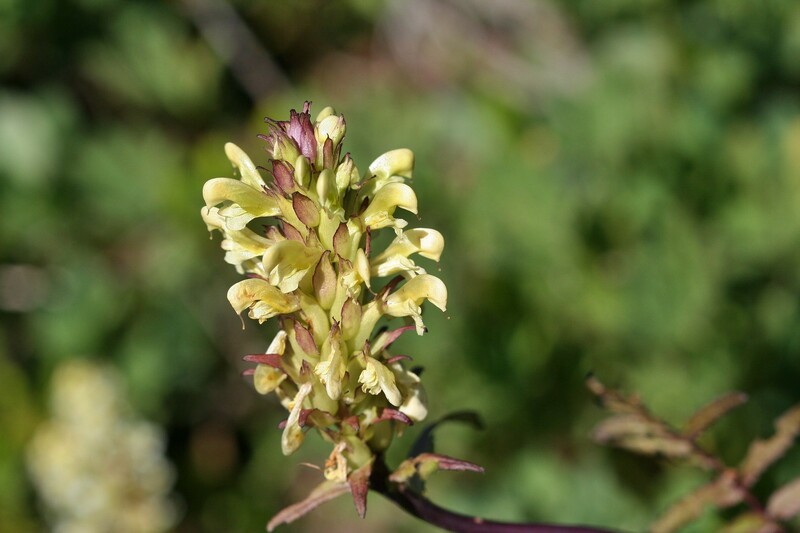 Mount Rainier Lousewort, an endemic flower found only on Mount Rainier and Mount Baker. 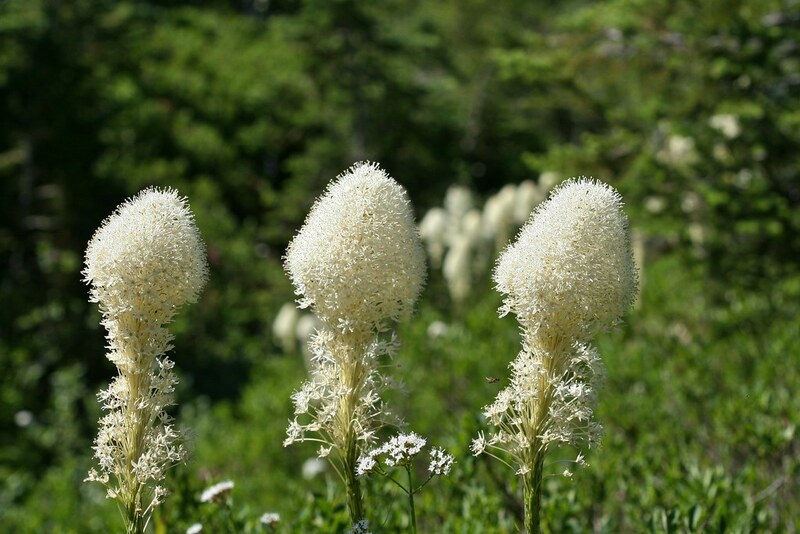 Beargrass, a distinctive flower commonly found in subalpine areas. It's actually in the Iris family! One of the many meadows we saw. Photo by Jory Teltser. 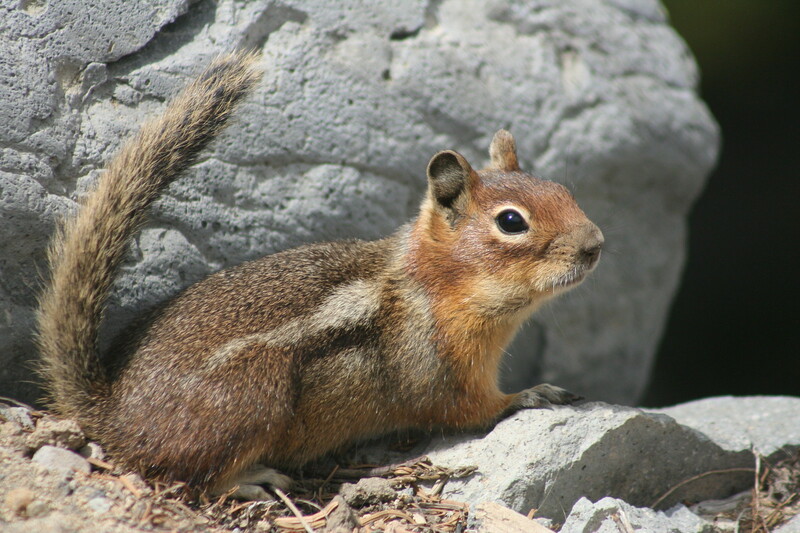 This little critter had a fun, tongue-twisting name- the Cascades Golden-mantled Ground-Squirrel, found only in the Cascades. 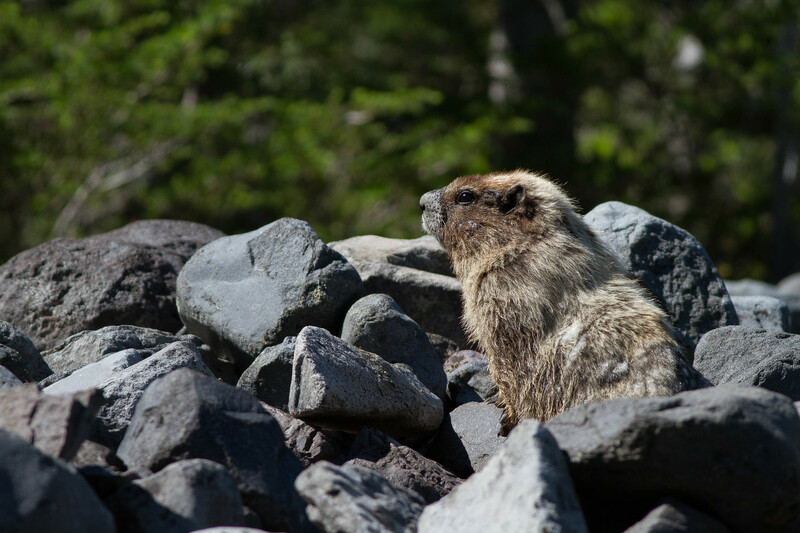 We also enjoyed views of Hoary Marmots. 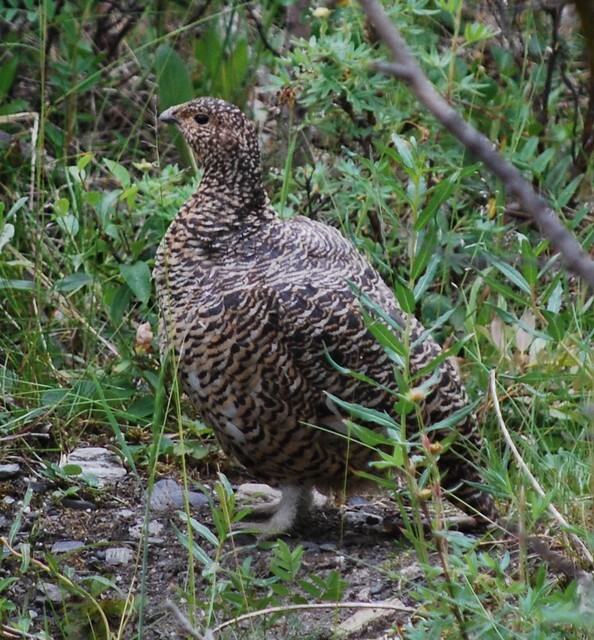 But soon after, we encountered a female grouse with 3 chicks!! After that epic hike, we went east of the mountains, on the drier slope. Here, the lush green firs and spruces are replaced with Ponderosa Pines, adapted to the drier climate. In many ways, the Ponderosa Pine forest is very similar to our Longleaf Pine forests. 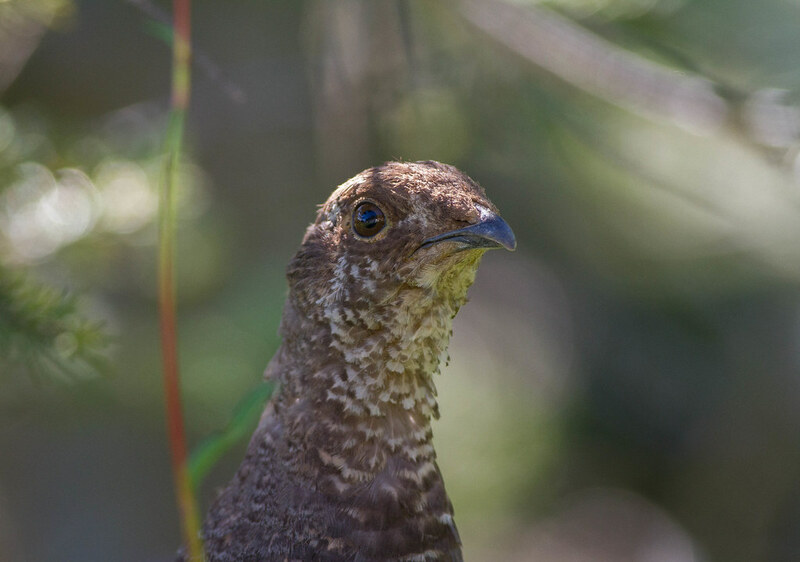 They both are dominated by a single pine species, require fire to thrive, and are full of similar birds! We picked up many new species, including many woodpeckers- great views of Lewis's, and 2 sapsuckers- Williamson's and Red-naped. 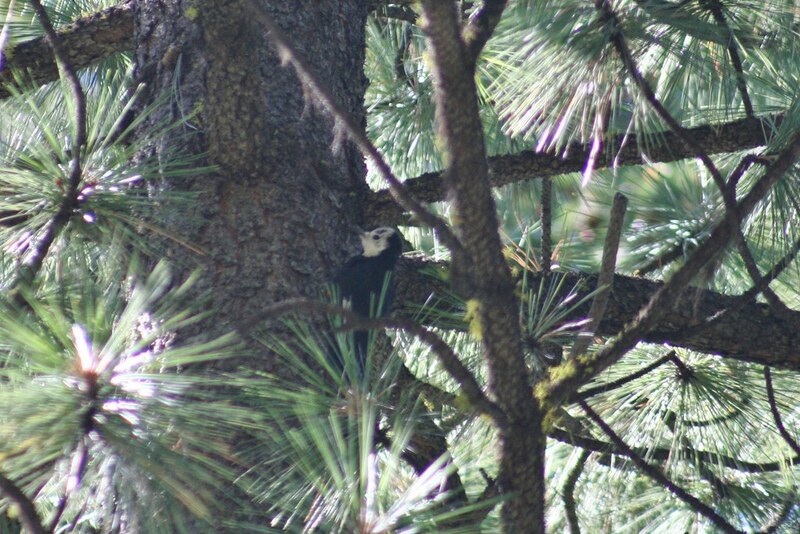 The highlight for many was a female White-headed Woodpecker! After we said goodbye to the beautiful vistas of Rainier, we headed back to Seattle. We did a final tally-up- 163 species! Group shot at Panorama Point on the Skyline Trail. Photo by Louise Zemaitis. It was an amazing experience for sure. 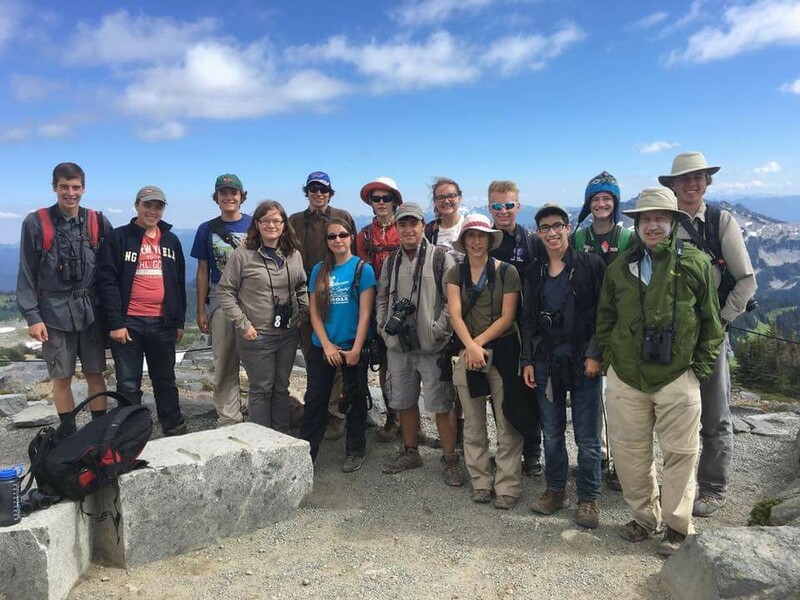 A big thanks goes out to the Carolina Bird Club, whose scholarship helped one of our young birders attend this camp and of course, Victor Emanuel Nature Tours for running this camp! 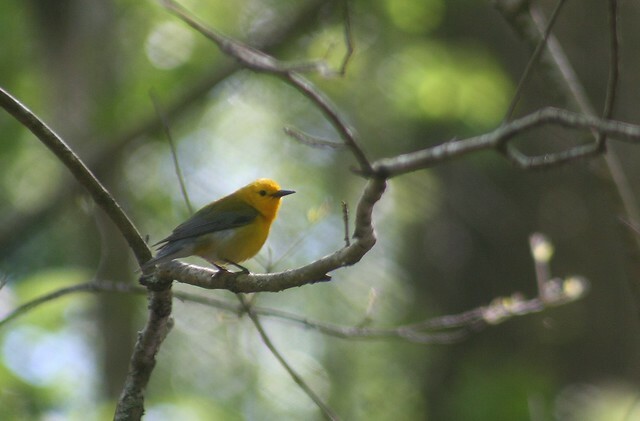 The CYBC was graciously invited by the team at Francis Beidler Forest to band Prothonotary Warblers and to explore one of America’s oldest cypress-tupelo swamps. 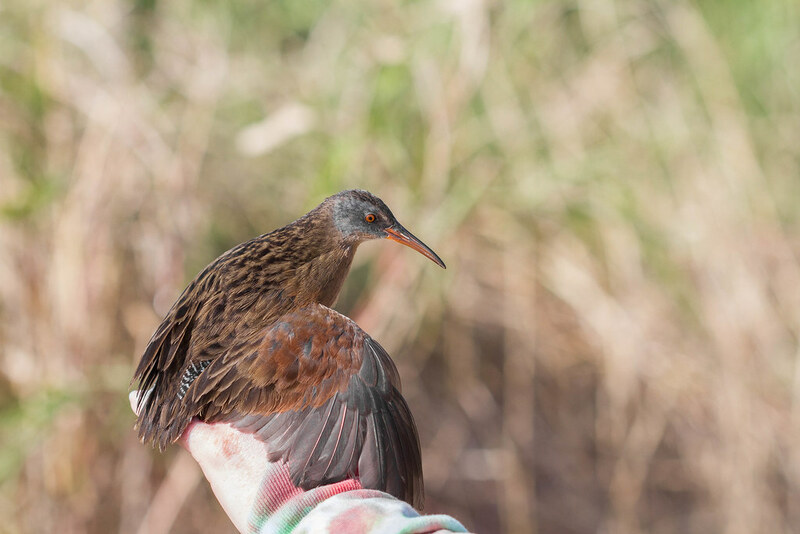 Four young birders were able to make it. We were led by Matt Johnson, Education Manager at Francis Beidler, who took us on an excellent boardwalk tour. 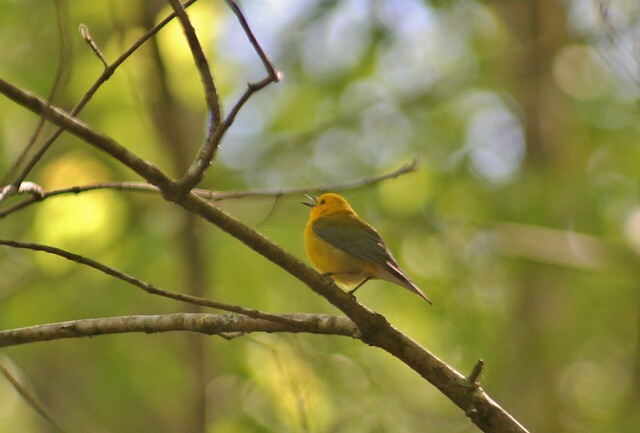 Even before we left the Audubon center, we were greeted by male Ruby-throated Hummingbirds and the songs of Red-eyed Vireos, Northern Parulas, and our target birds- Prothonotary Warblers. Francis Beidler is ancient. 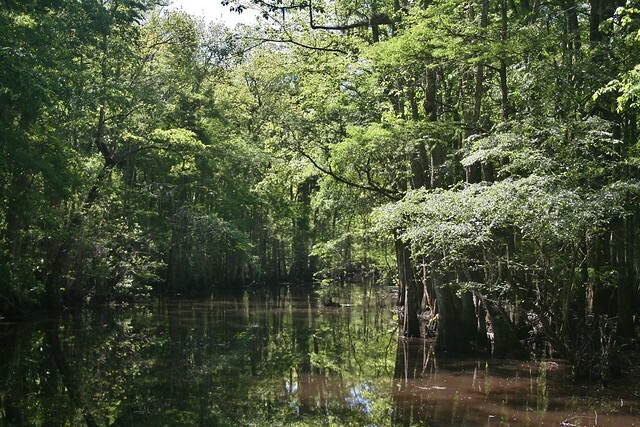 It’s actually located in the Four Holes Swamp, a blackwater river. 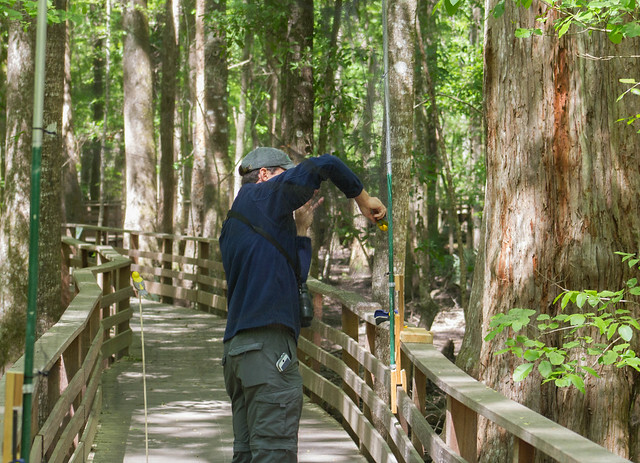 I found it similar to Congaree National Park, but the main differences between the two locations is that Congaree is a floodplain, while Francis Beidler has actual water flow. 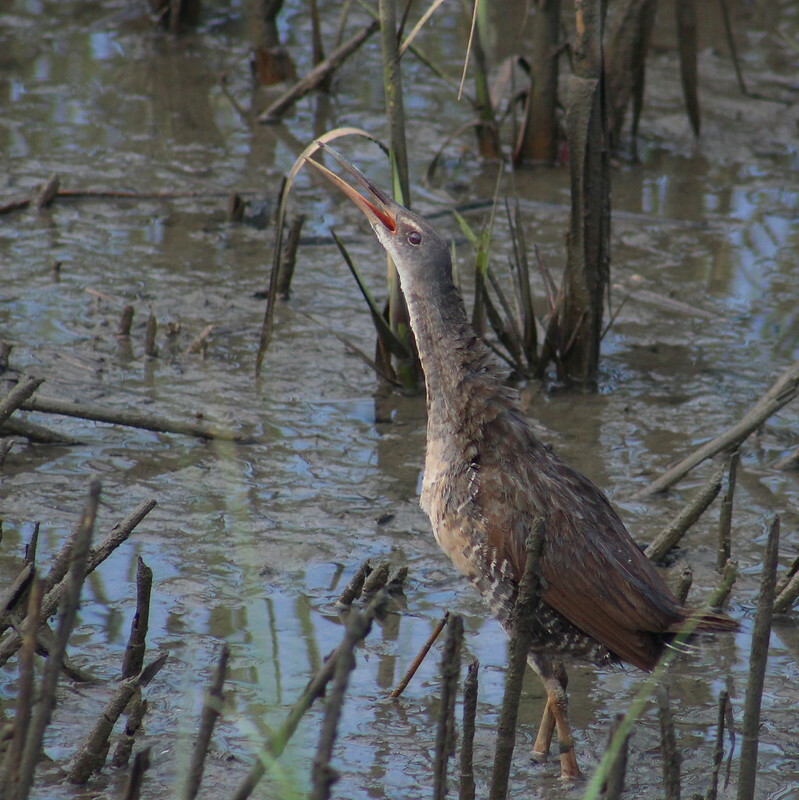 The swamp was never logged, and SC Audubon has done an excellent job of preserving it and making human impact minimal. Matt showed us an ancient Bald Cypress that was at least 900 years old, and that wasn’t even the oldest tree there! 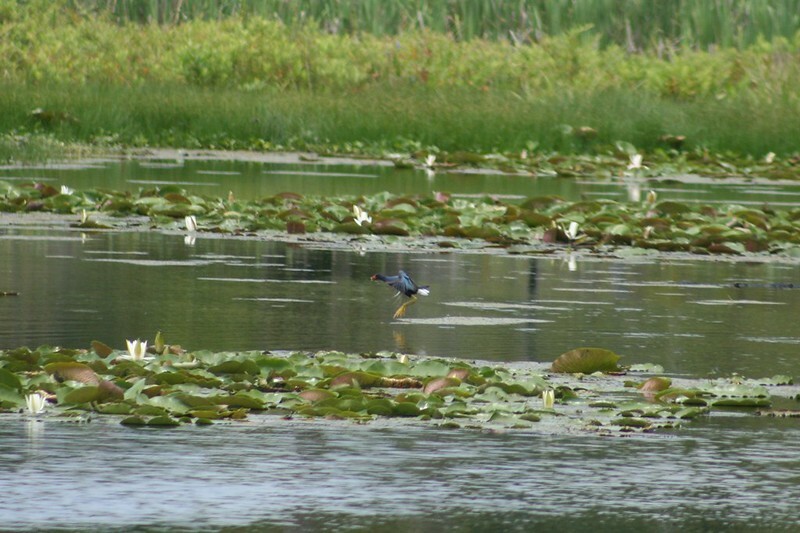 The swamp was ringing with the sounds of Prothonotaries as we started the boardwalk tour. 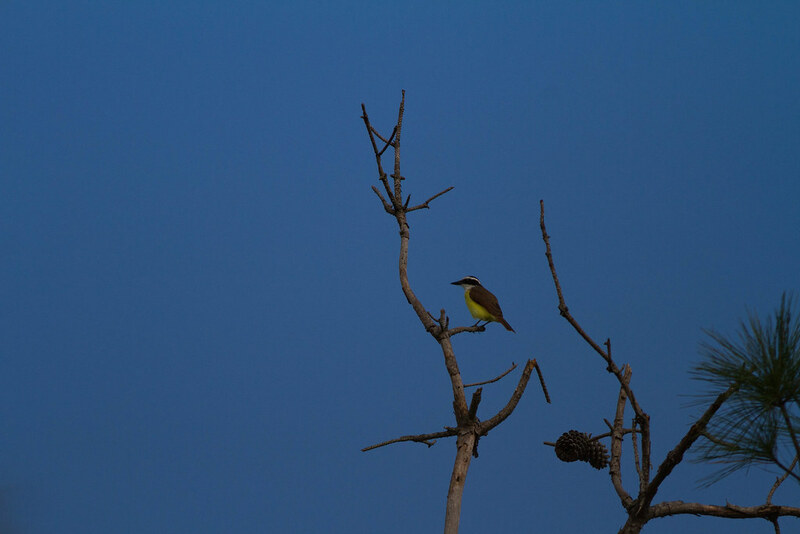 We soon spotted an unbanded male singing persistently. He responded a little to our playback, so Matt decided to see if we could catch him. We set up the mist net along the boardwalk. The net is custom-made to fit the sides of the boardwalk, so it was a quick setup. 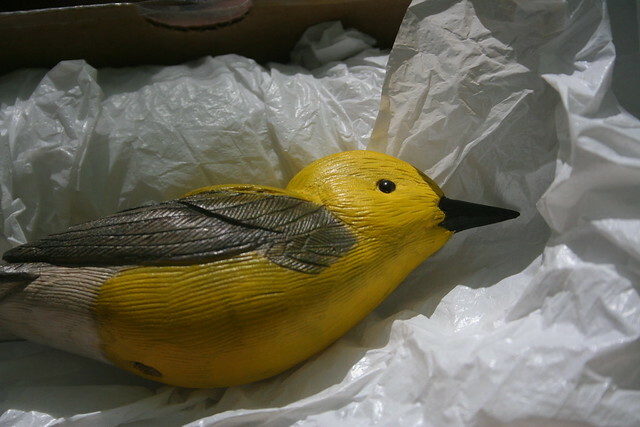 There was also a hand-carved Prothonotary Warbler decoy and a speaker to play the song. Unfortunately, this male wasn’t interested enough to fly into the net. We left him alone after a few minutes of playback. However, he did get very close and we got some great views! One of the highlights for me, personally, was the amount of snakes we saw. Despite my best efforts, I rarely see snakes, but at Beidler it was impossible to miss any snakes. 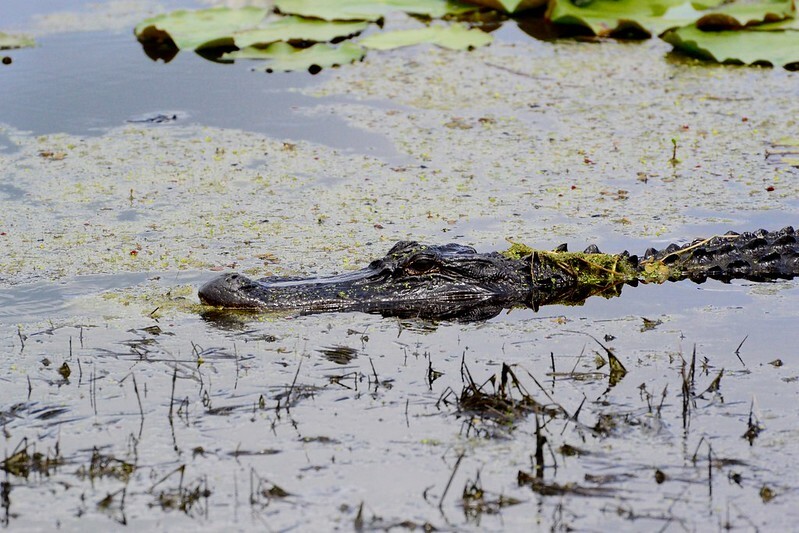 Many enjoyed sunning on the many fallen logs throughout the swamp. Brown Water Snakes were the most common species we saw. 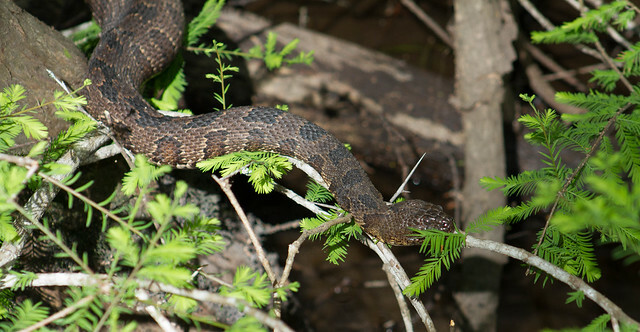 We also saw two Cottonmouths and a Banded Water Snake. It wasn’t long until we heard another singing Prothonotary. We found him quite easily- no bands! Matt quickly set up the net. He was responsive for sure, but would he fly into the net? We anxiously watched as he buzzed the top of the net, flying low but not low enough. Finally, he hit the net and dropped! Matt scrambled to untangle him and started to process him. 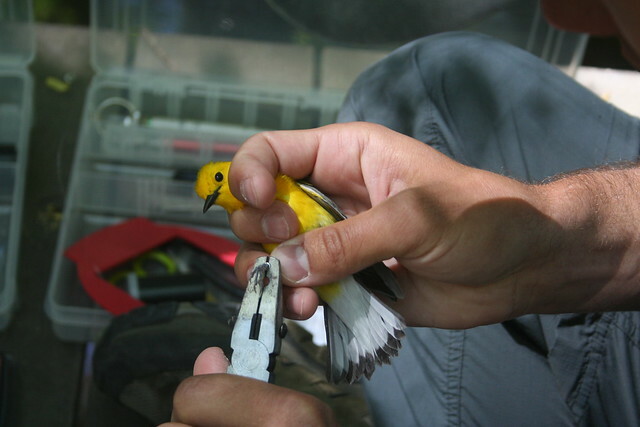 He was first banded- one metal USGS band and 3 colored bands. Reading his bands from lower left to upper left, and then upper right to lower right, he would be aluminum (USGS band), split red/blue, white, blue. 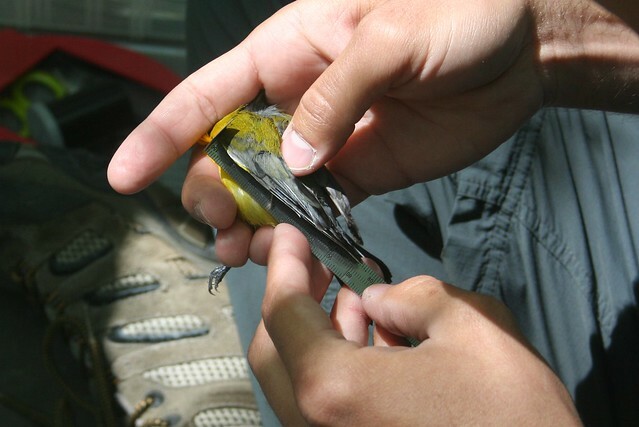 Unfortunately, when weighing him, he managed to wiggle his way free and flew off into the swamp. Luckily, we had all of his data recorded, but it was a little disappointing. He obviously was a little ruffled as I watched him preen his feathers back into shape! It was a great experience overall! Hopefully in the future we'll be able to head down and band some more Prothonotaries. Thanks again to Matt Johnson and the team at Francis Beidler for inviting us! 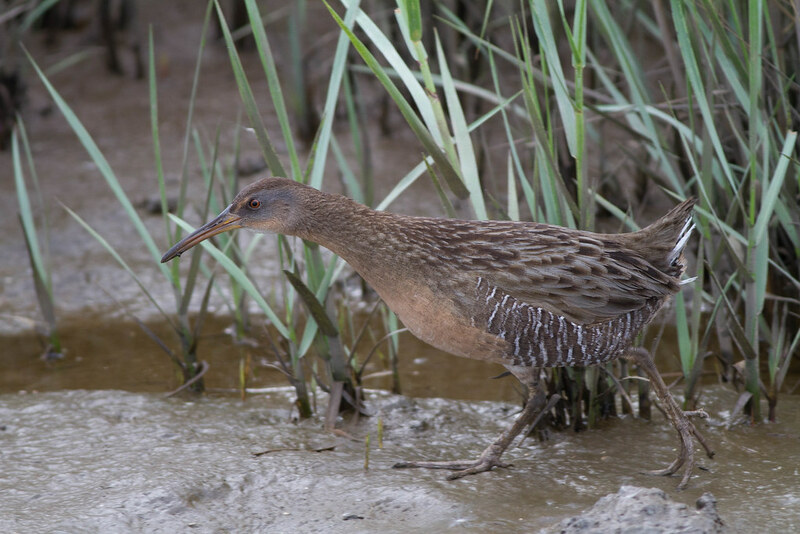 The Carolina Young Birders Club had a two-day trip to Charleston, SC for some early summer birding, staying at Jack's house. Four birders attended- Ian, Matt, me, and of course Jack. The Charlotte birders arrived on the evening of the 9th, braving bad weather to arrive at Jack's home. We tried looking for some Chuck-wills-widows in his neighborhood, but no luck. 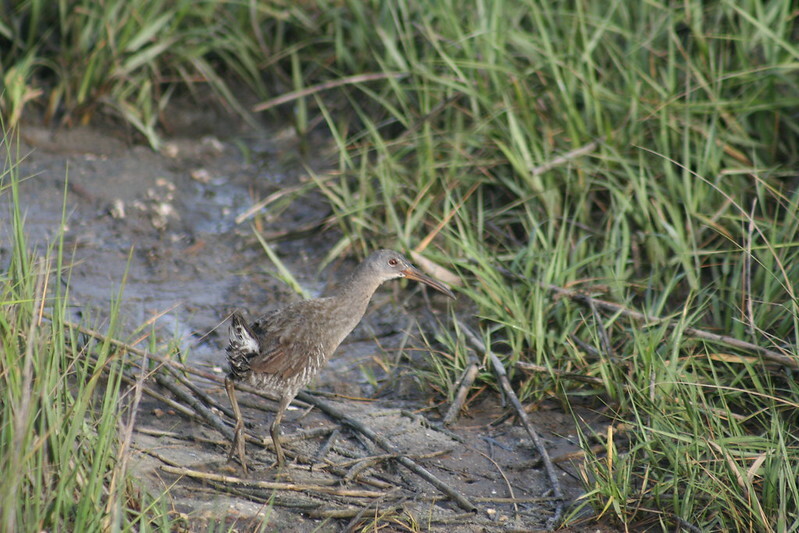 The next day we got up early to head down to Bear Island WMA. 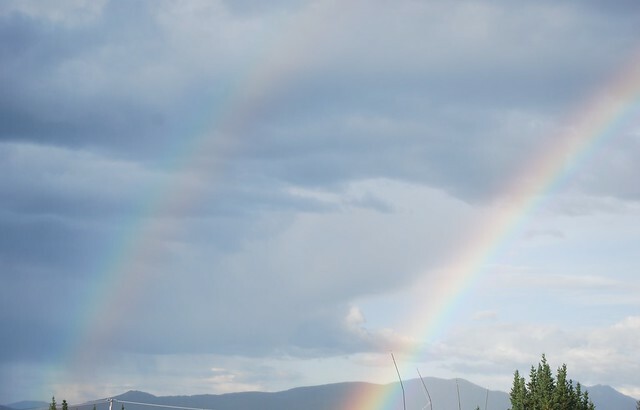 As we headed down the refuge road, Matt's car started smoking- popping the hood, the engine was sizzling. Something was obviously wrong with it, and we left it to cool as we tried to bird a bit. 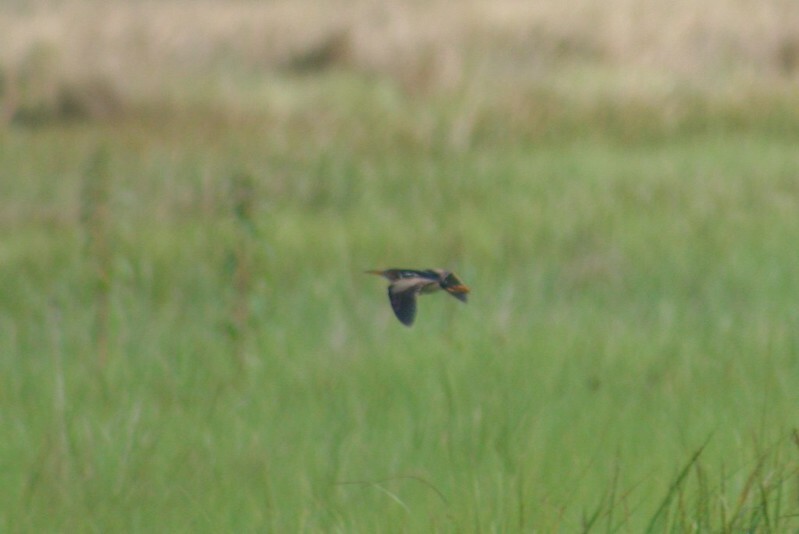 We did have good looks at Painted Buntings, male Summer Tanager, and a Least Bittern. After a while we thought Matt's car was fine, so we drove to the end of the main road, where the refuge ends and the private land began. 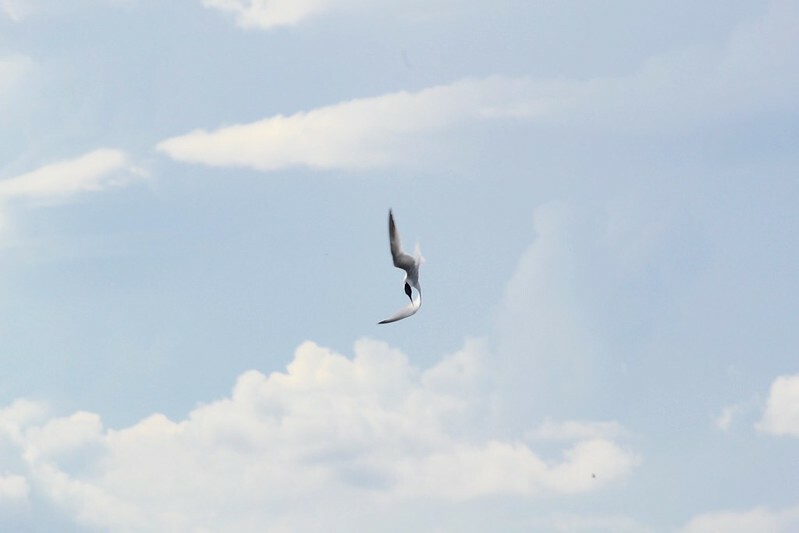 There I got my 300th life bird, a Gull-billed Tern flying quickly over us. 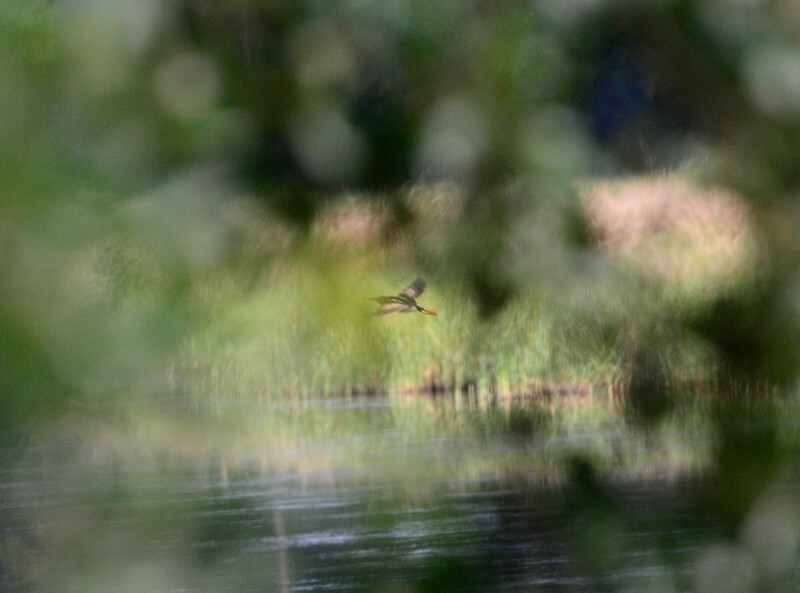 We also had Least Bitterns, along with other egrets and herons. 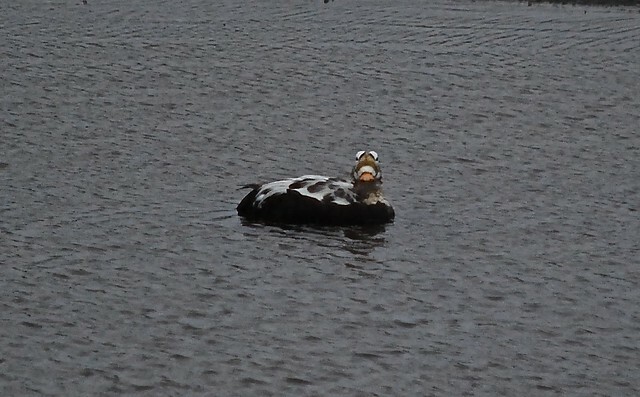 Two Mottled Ducks flew in, which made me glad that the Gull-billed had flown in- they were #301 on my life list. 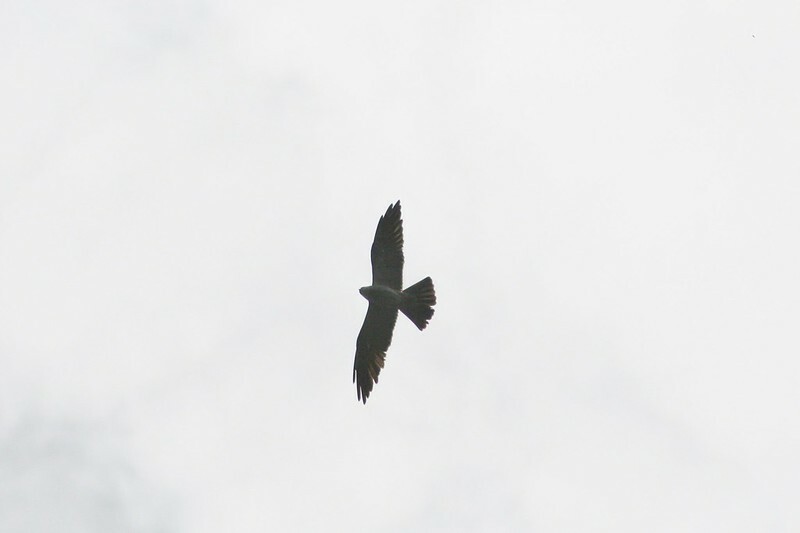 A small kettle of Mississippi Kites soared above us. As we drove back, Matt's car started the smoke up again, and we made it to the ranger station. 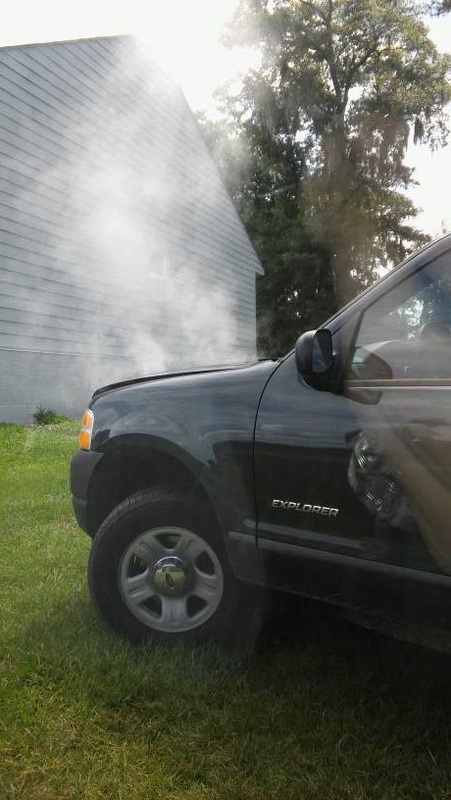 A huge cloud of white smoke billowed out from the engine... it was obvious that we wouldn't be using his car anymore. Luckily Ian's car was fine and while we waited for a tow truck, we headed to Donnelley WMA. 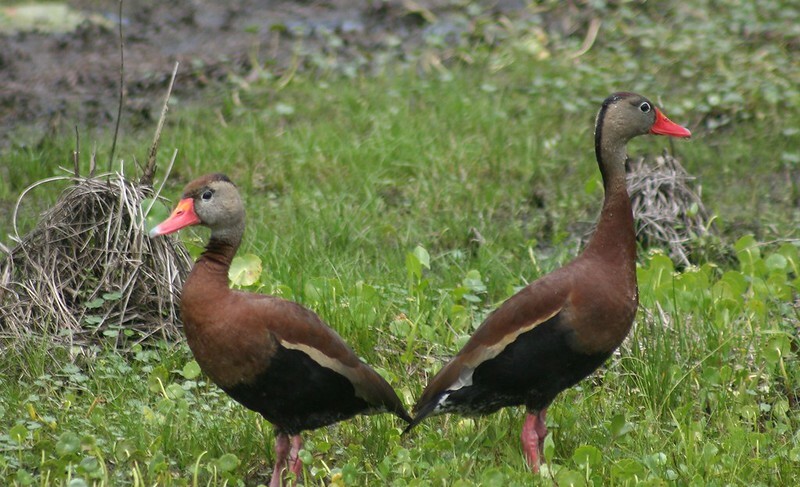 There we saw many Common Gallinule chicks, Black-bellied Whistling-Ducks (which were very tame), and a Purple Gallinule, along with a good-sized gator. 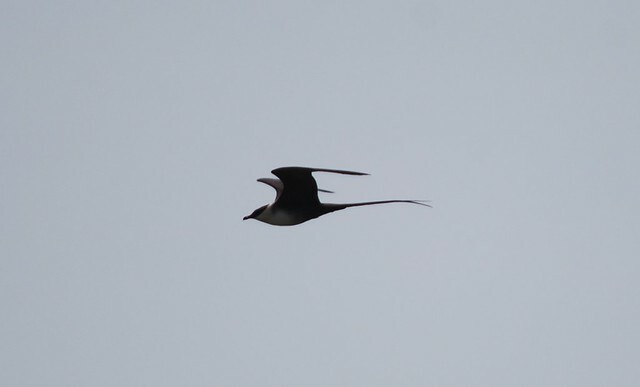 We took Matt back to Bear, but not before we got him another lifer (the Purples were for him)- a distant, brief look at a Swallow-tailed Kite. We birded at Bear a little bit longer and made sure Matt's tow truck arrived before we went back to Donnelley. (Matt did have to leave that day, but it was much earlier than expected!) 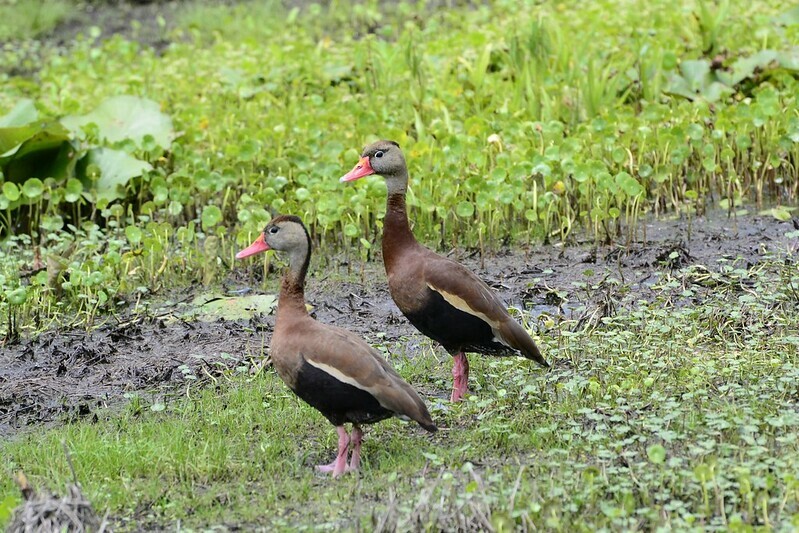 Jack, Ian, and I were luckier with the gallinules and whistling-ducks this time; we had a total of four Purples (3 adults, 1 fuzzy coal puff of a chick) and 6 whistling-ducks which gave us fantastic views. After that, we went to Folly Beach to search for a few more lifers. 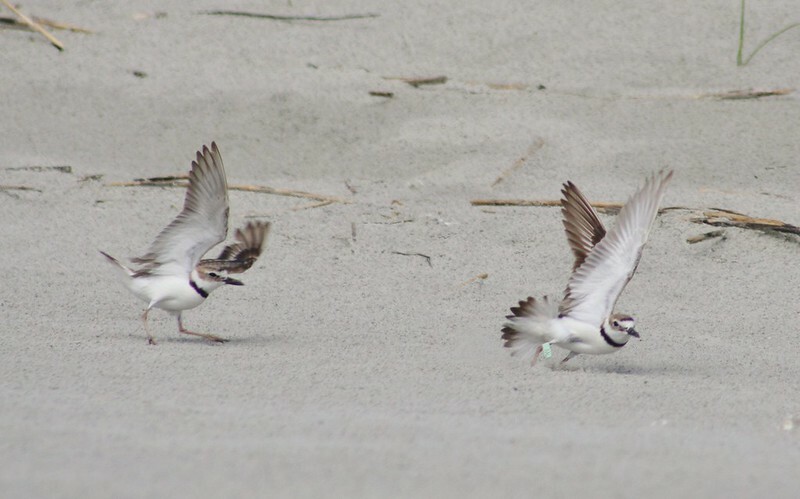 It seemed quiet at first, but we were rewarded with three Wilson's Plovers, two males fighting for a female. 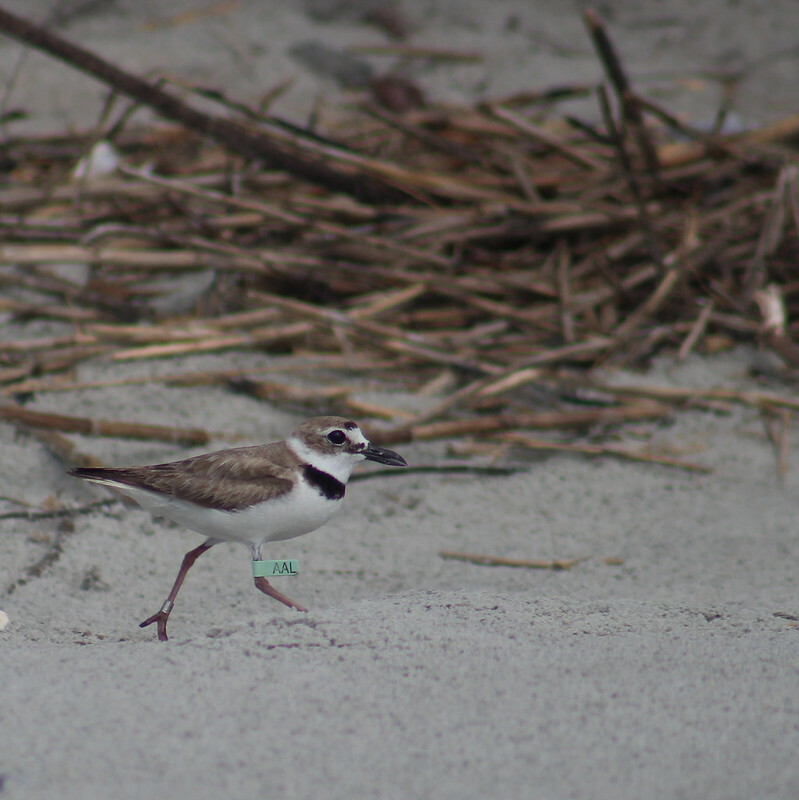 One male was had a silver band a sea-green flag with 'AAL' on it. He was victorious over the other male and ran off with the female. 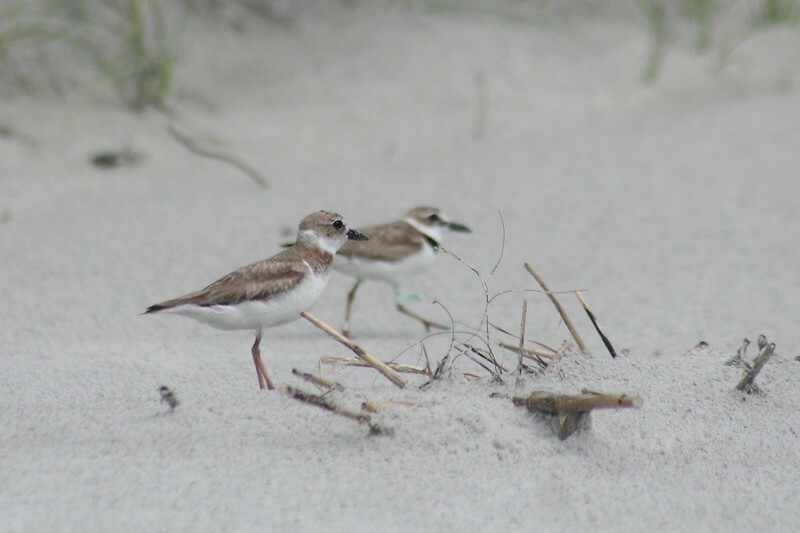 Jack reported this to Chris Snook, who replied that, so far, this is the oldest Wilson's Plover known! 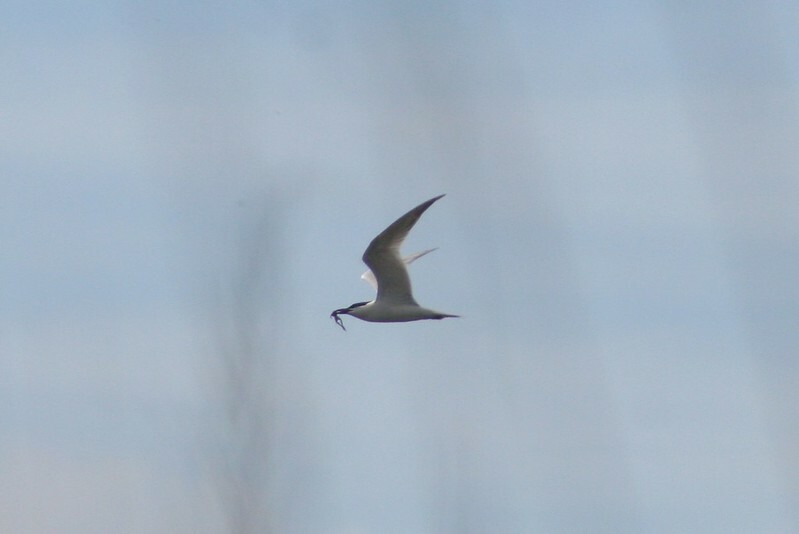 We also had quite a few Sandwich and Least Terns, along with an American Oystercatcher that could have been on a nest (or just resting- it was hard to tell). 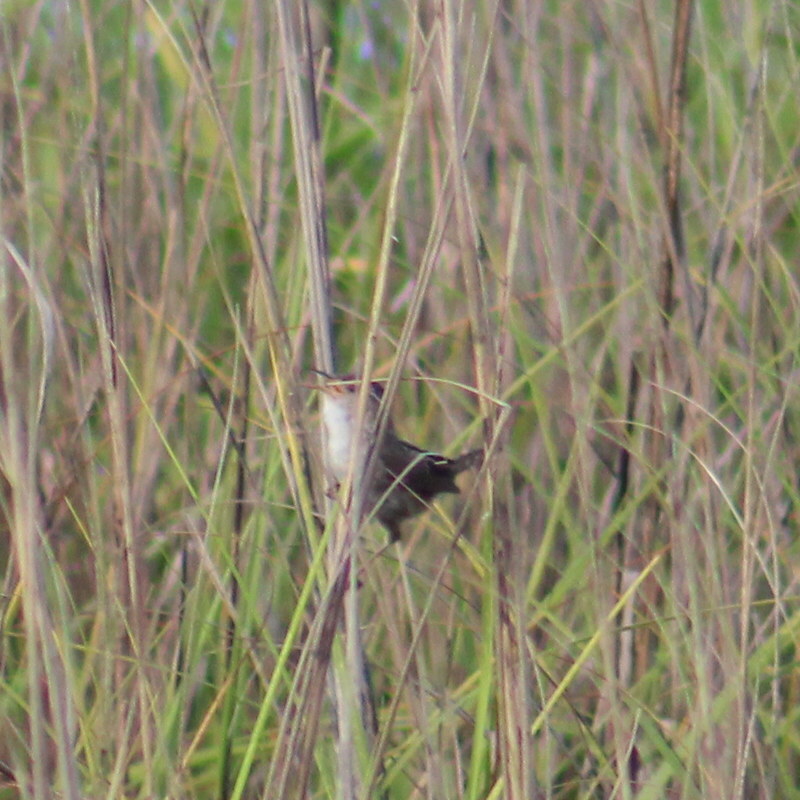 and a neat subspecies - "Worthington's" Marsh Wren. Some other notable birds we found there were Black Skimmers, Black-bellied Plover, and our fourth plover species, Semipalmateds on the mudflats. Our third was just plain hot. We had gotten almost all of our targets and we decided to go get some easy lifers for Ian and I. 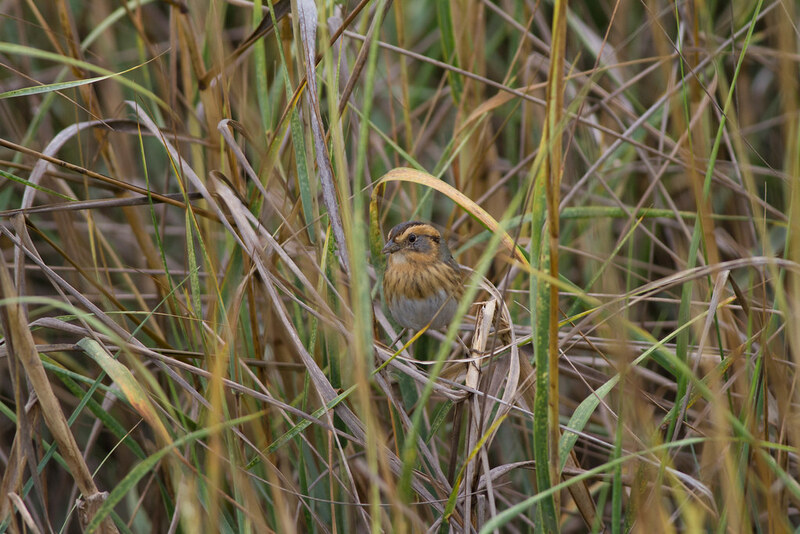 We checked out Botany Bay and saw Painted Buntings at their feeders, much tamer than the one I saw at Huntington Beach SP. 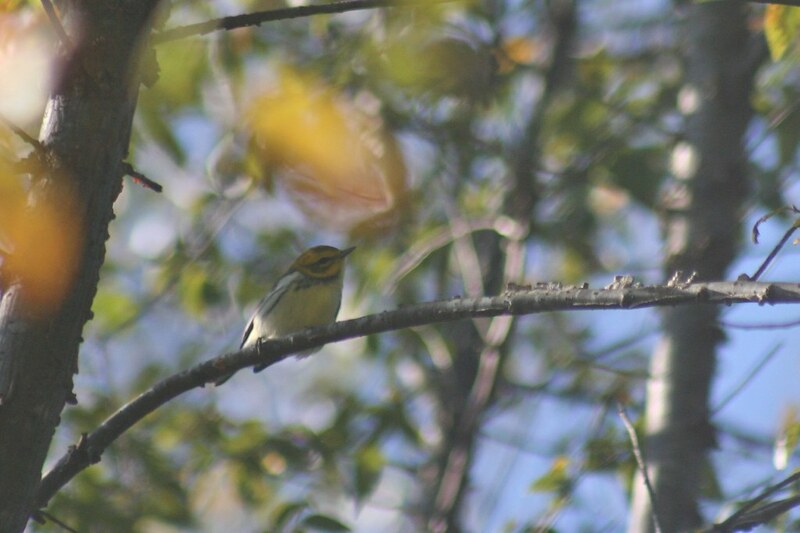 We had a singing Yellow-throated Vireo as well, which Jack thought was a bit odd. 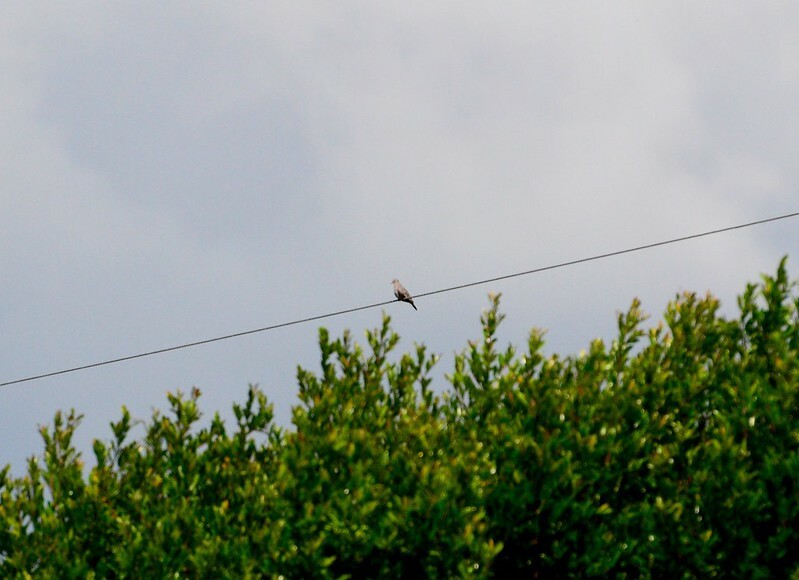 Our best bird was a single Common Ground-Dove on a wire over the fields, with Mourning Doves, which was a lifer for Ian. 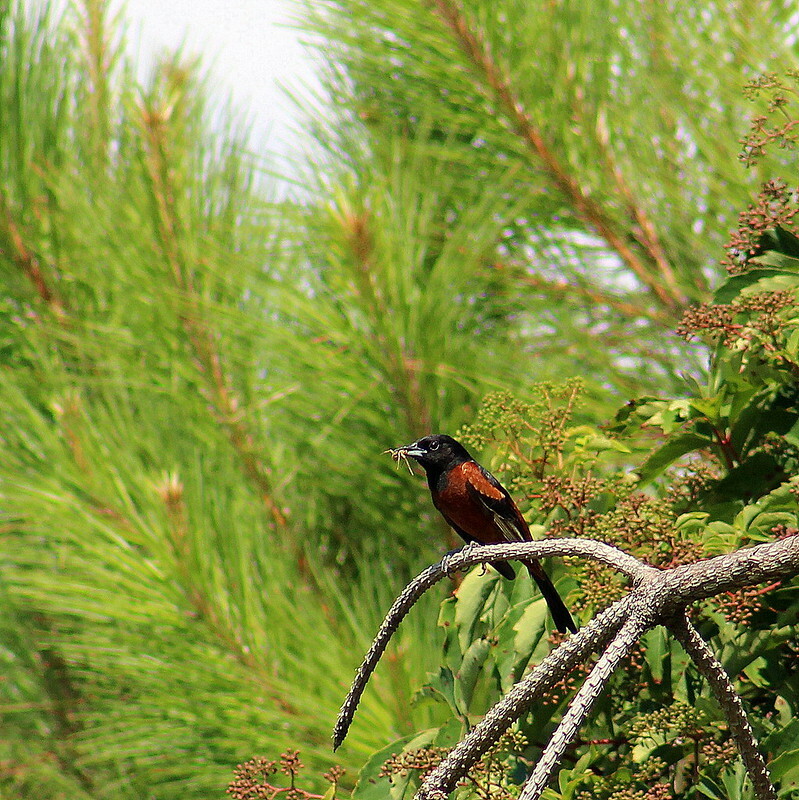 A pretty male Orchard Oriole gave us some good looks too. After the oppressive heat of Botany Bay, we were too tired to go outside again, which concluded our trip. Special thanks to Jack for letting us stay at his house! This will be the last (official) CYBC trip until late summer- check back here in August for upcoming trips! Anyways, I like the idea of keeping notes in a notebook and reflecting on them later (like for a long car ride). In my notebook, it's mainly checklists of birds after a trip, ready to submit to eBird. Sure, it's a helpful way of getting things done but other than small annotations (like 'H', 'flyover', and gender signs) it's not much in the way of notes. 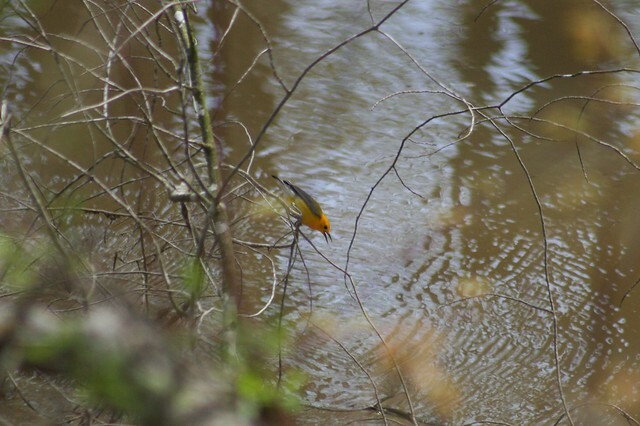 I also realized that despite my decent camera (300mm lens is less than perfect) I was using it to capture the birds in my memory. Sometimes I'll scroll through my Flickr page and remember when I saw this or that. How can I forget my face-meltingly amazing first looks of our mascot bird? -Don't worry about your art. Yes, there are many stunning bird artists out there, but not everyone is a Peterson or a Sibley. What you want your illustrations to be are legible (just to you or to anyone) and scientific. 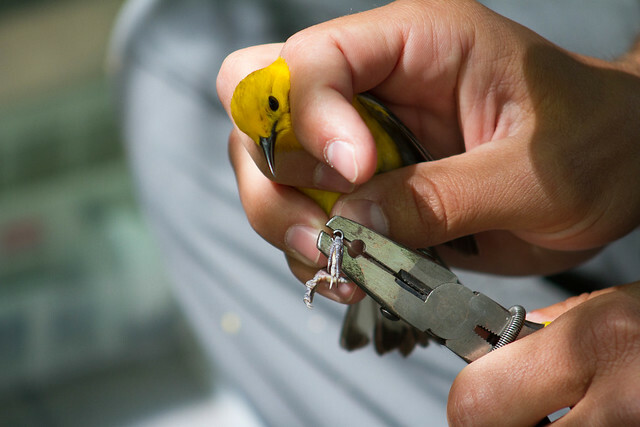 Show the bird's behavior. 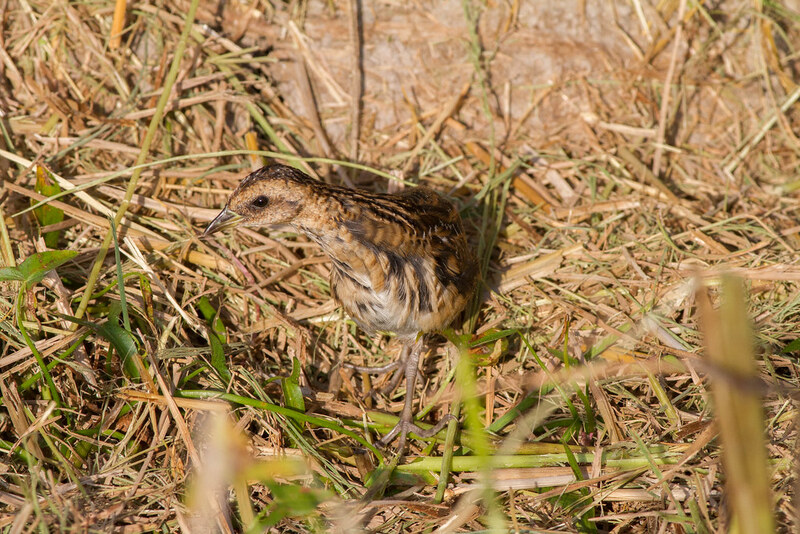 If it was a rarity or an unknown bird, point out the detail you saw. You want to draw it right as you're looking at the bird or immediately after; the mind can be a tricky thing. 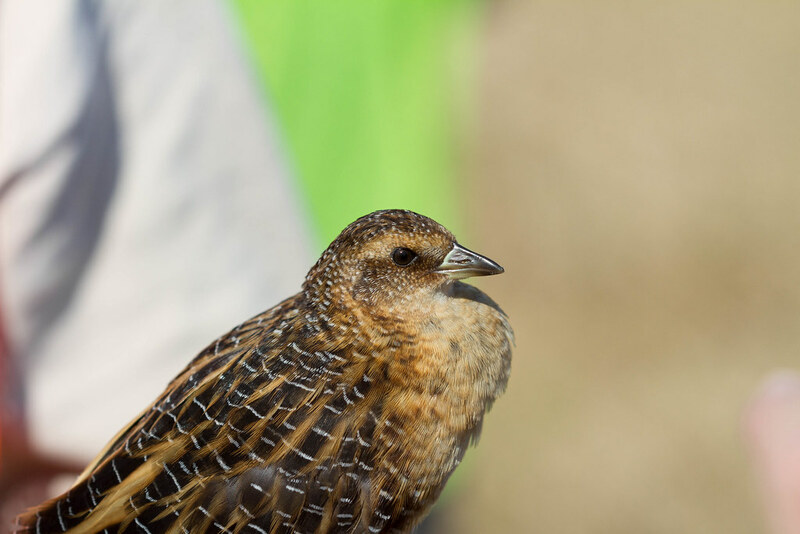 Since I don't have a guide to Europe, when we went to the island of Elba in Italy, I have scarce internet access to look up the handy list of Italian birds. I used the eBird Targets tool and sketched out the most likely birds I would see (which I only saw one of which, a European Shag). Or you don't have to sketch at all. It's your choice! -Like I stated above, make your notes during or after you watched the bird. Sometimes your mind will play tricks, and it can lead to a false ID. 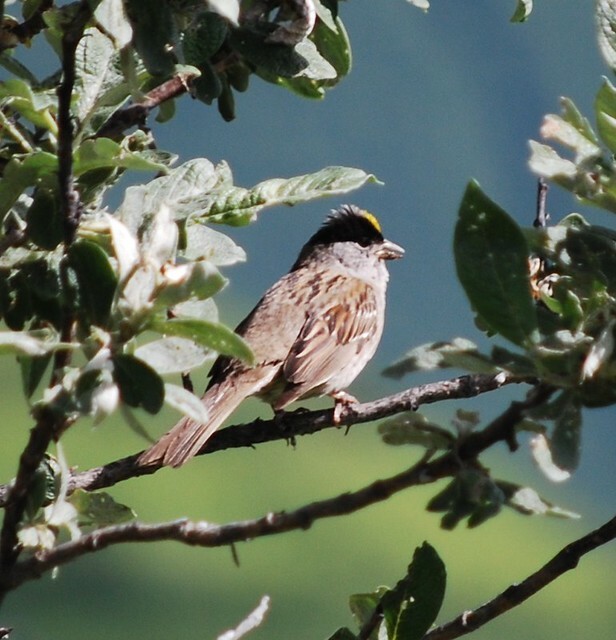 Do you have that gut feeling of a Clay-colored Sparrow? 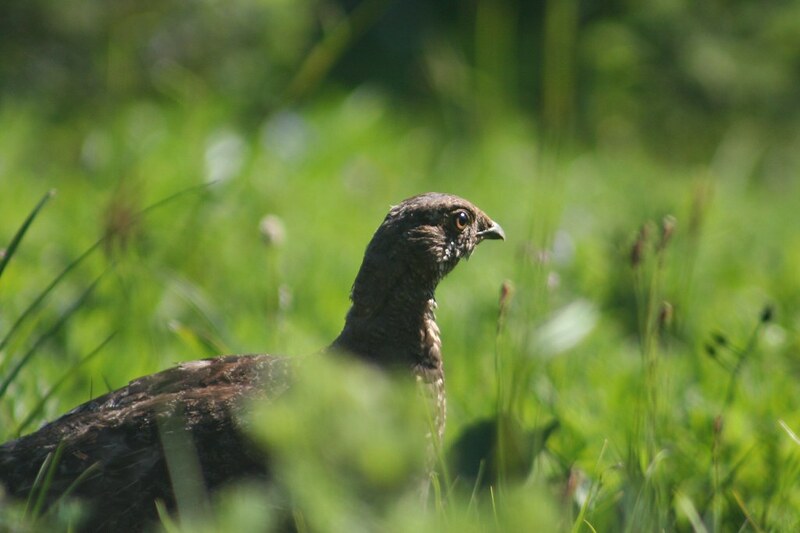 Make notes about its facial pattern as you're watching it! Later on you will probably doubt yourself if you didn't make notes. If you're in an unfamiliar area, take notes of the calls too. -From what I've read, always include date, time, and location. 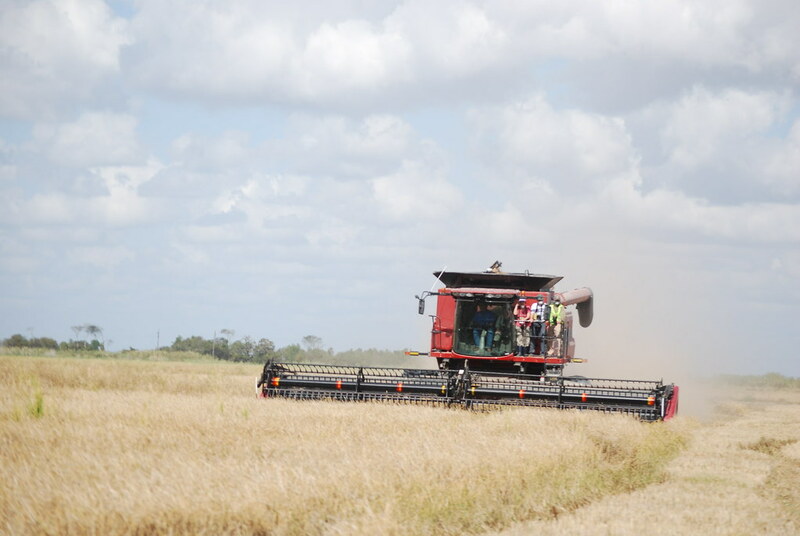 Other pieces of info that are useful are weather, temperature, and habitat. -Take notes on interesting behavior. Is that mockingbird raising its wings? Take note of it, give your thoughts. Field notes are basically taking notes of the world around you. -Don't stop at birds! Notice some squirrels? Interesting wildflowers? Those are important too and it's great to learn the other organisms around you. So go out in your backyard and start there! 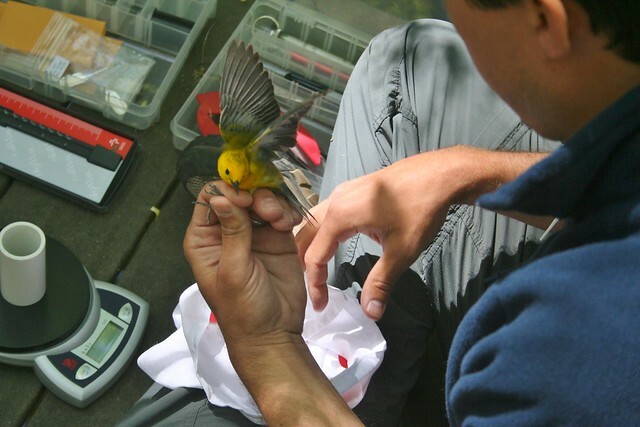 Watch your feeders and take notes! Sketch that Purple Finch and maybe even point out the differences from a House Finch! Or, if you go to a zoo/pet store/a place where captive birds are held, try sketching them too. 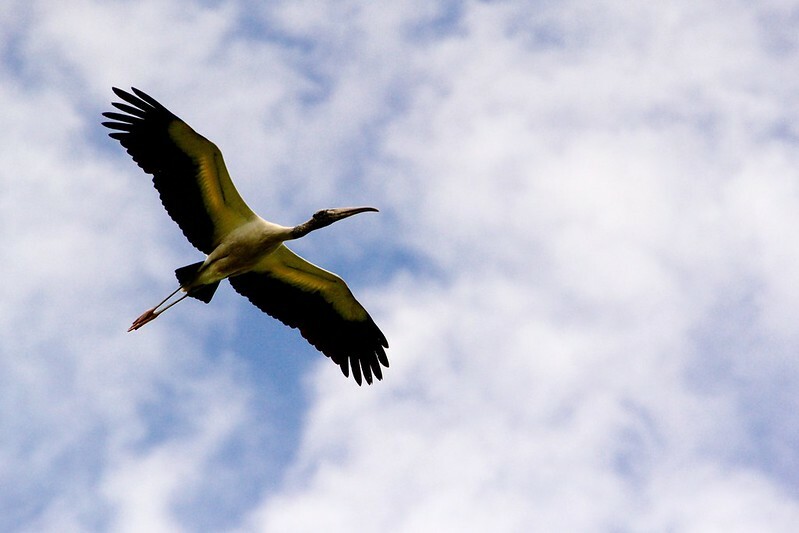 They'll be easier than wild birds who will fly away never to return. And as always, practice makes perfect! 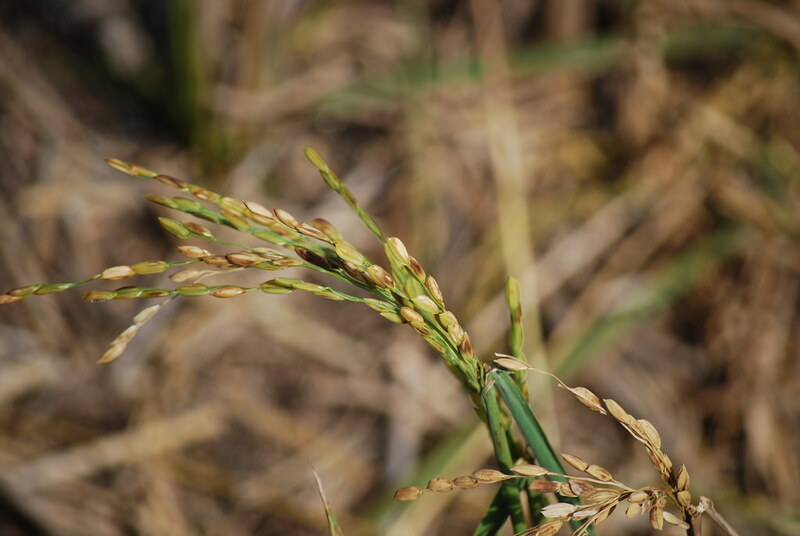 Have you taken field notes? Want to show any off? Have any more tips for readers? Comment! 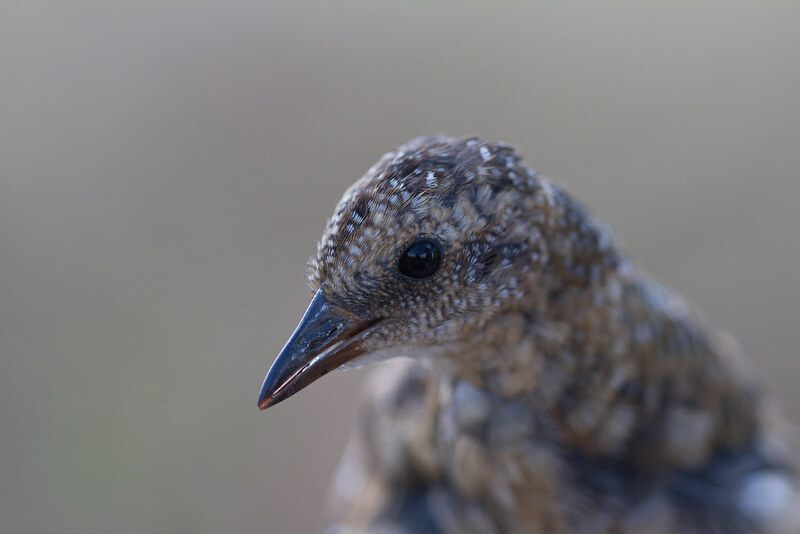 Also, is anyone interested in a Young Birders Event blog post? 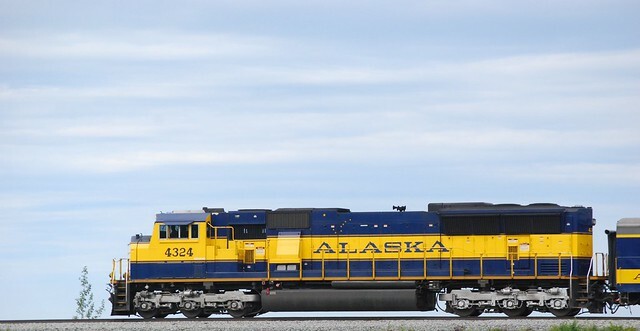 I haven't uploaded any pictures on this site snce I'm way too lazy and my computer is too slow, but if you guys are interested in an in-depth experience... I also want to read Matt's various summer trips, even though it's a season late! 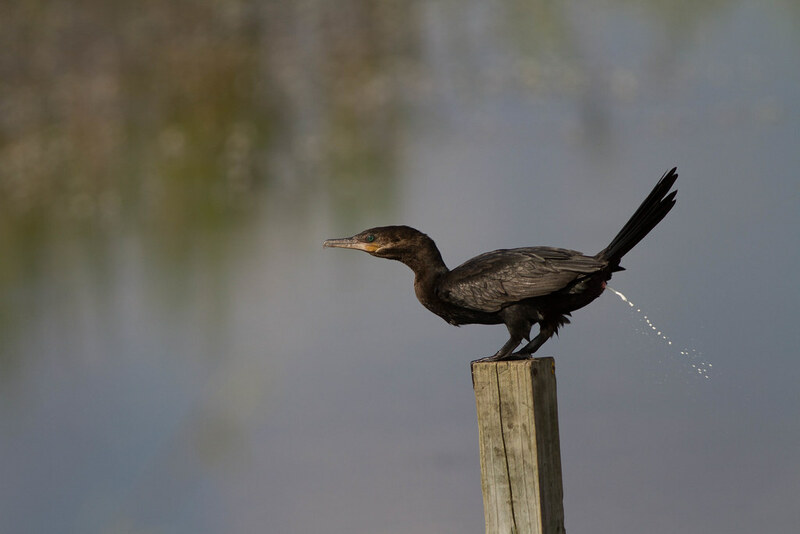 Water- millions of Americans feed wild birds but few realize that water features will attract more birds, and species, such as warblers, that probably won't visit feeders anyway. Water features can range from as simple as a recycled container filled with water to an elaborate set-up including a pond and waterfall. Personally, I have a birdbath which admittedly don't keep filled as often as I would like. I did however make a free dripper; the sound of moving or dripping water will attract birds from farther away. The last several winters, I have been rewarded with a Hermit Thrush or two who make my backyard their winter home. All I did was hang a milk carton that I had punched holes into the bottom, and then filled with water. This is simple and free. 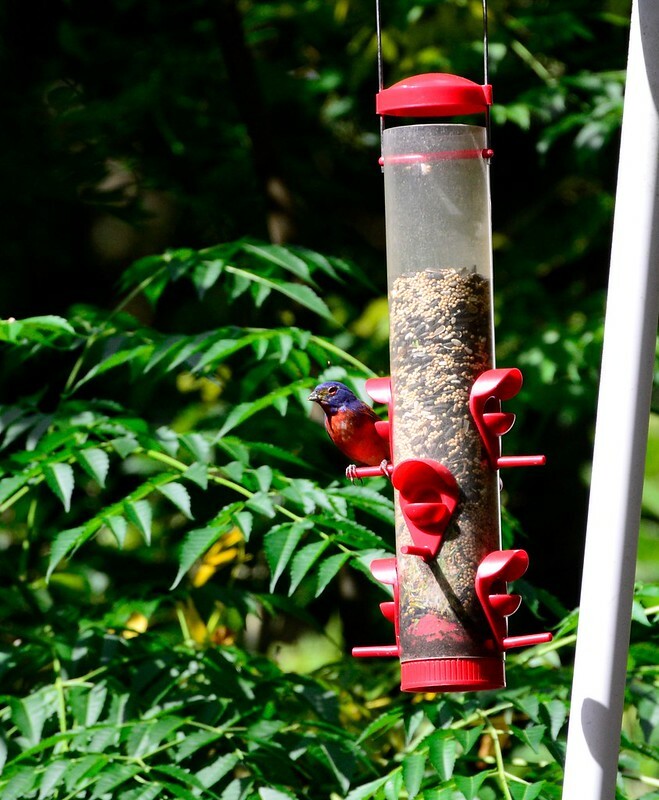 Feeders- so many people, even those who have a passing or casual interest in birds, have backyard bird feeders. 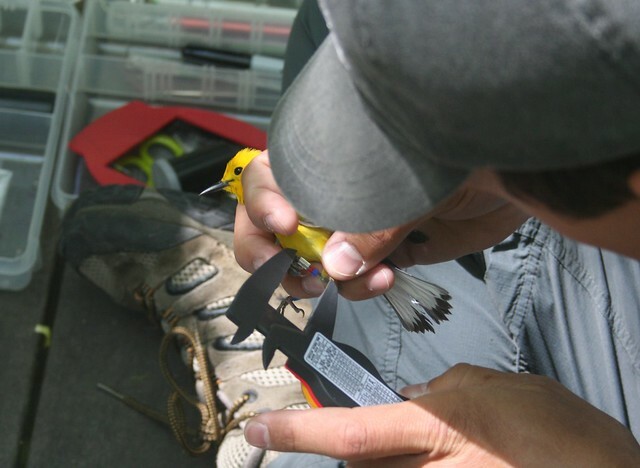 Once again, you can make your own or purchase expensive, long-lasting, high-quality feeders from a specialty bird shop. Feeders from big-box stores tend to break; you are better off making your own then purchasing one of those. I have about a dozen feeders in my yard but you only need one or 2 to attract several species. I feed a variety of foods in a variety of feeders to attract more birds- some species like sparrows prefer platform feeders, and bluebirds like mealworms, and woodpeckers love suet. 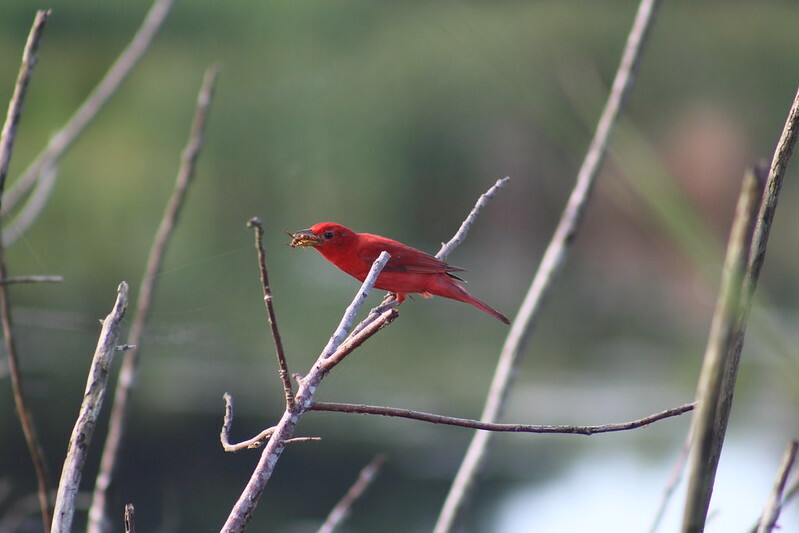 Creating a variety of foods and feeding situations will allow you to attract a variety of birds. 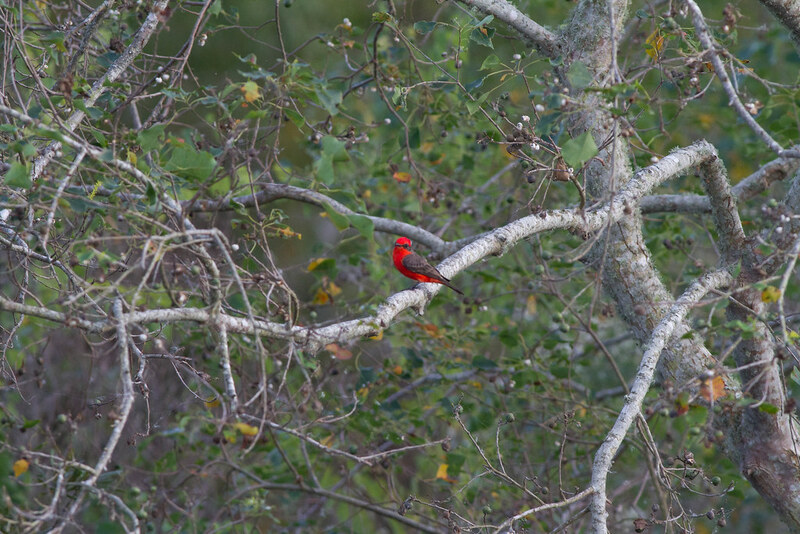 Shelter- if you have trees or shrubs in your yard, you may already notice that birds utilize these for shelter. You might even have a birdhouse or two. 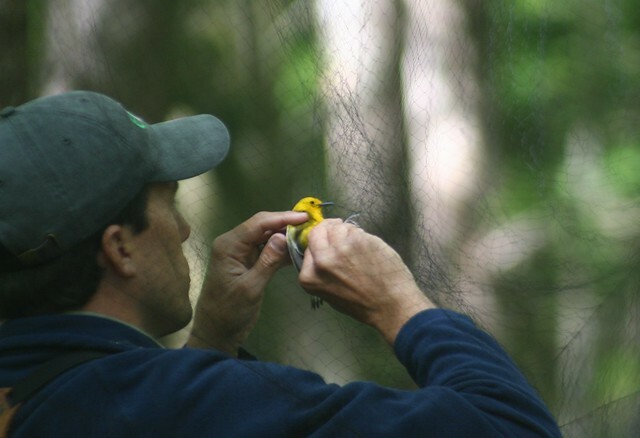 Birds ranging from wrens to Barred Owls will utilize nest boxes. Installing these and native plants for cover will allow birds to feel safer or maybe even raise young while living in your habitat. Reminder: Nags Head Field Trip is on January 31st 2014. Soon we will hopefully get this logo on some t-shirts, water bottles, etc.